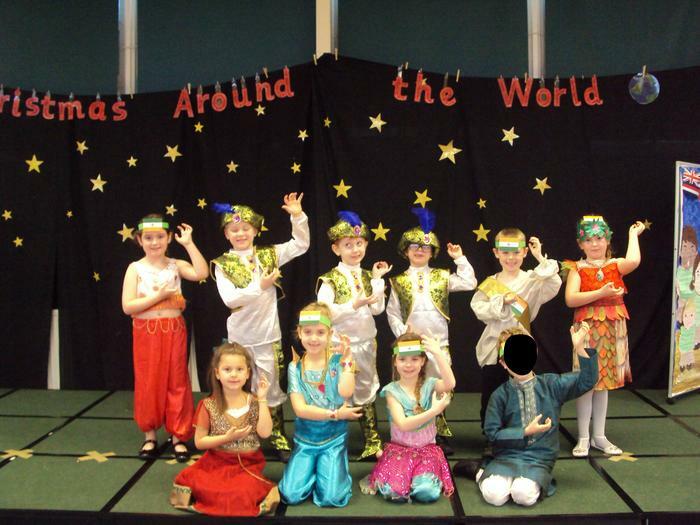 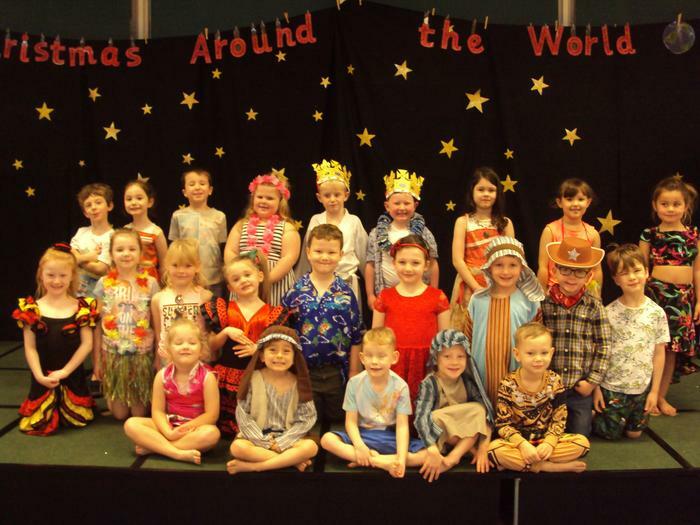 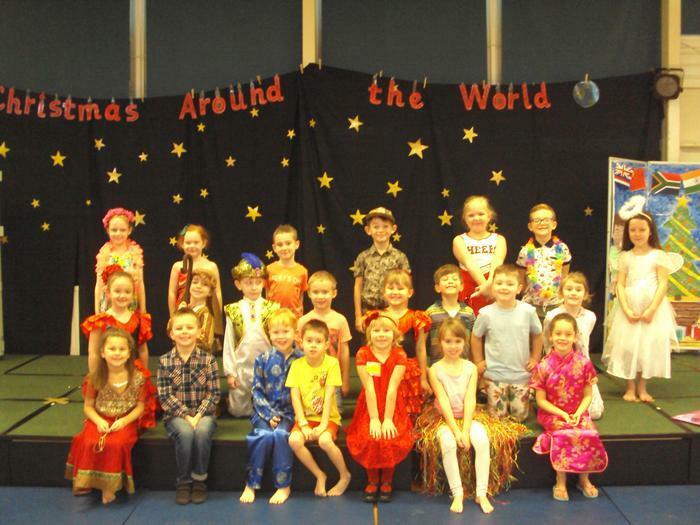 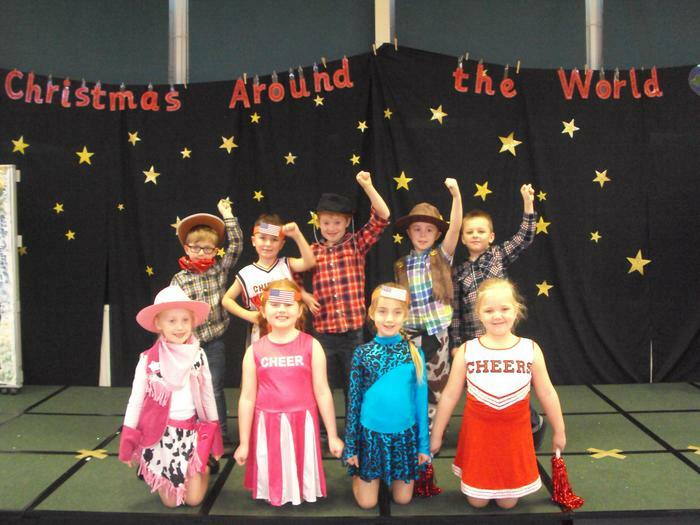 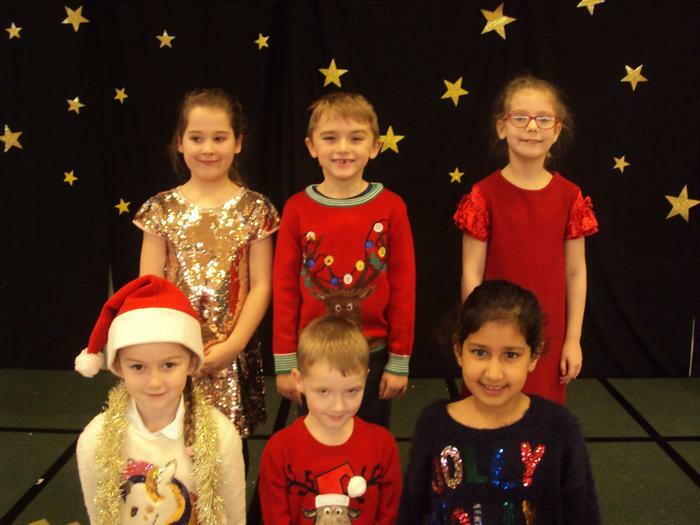 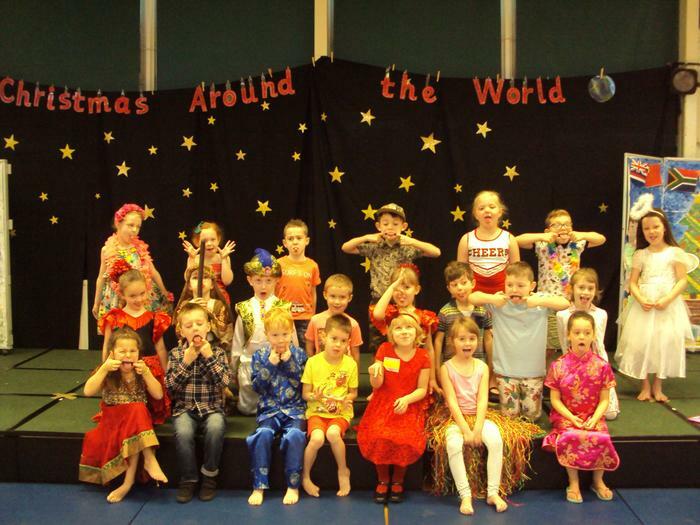 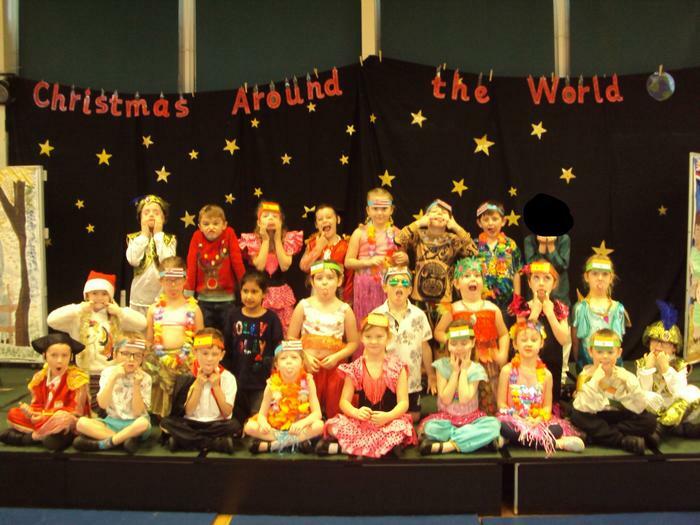 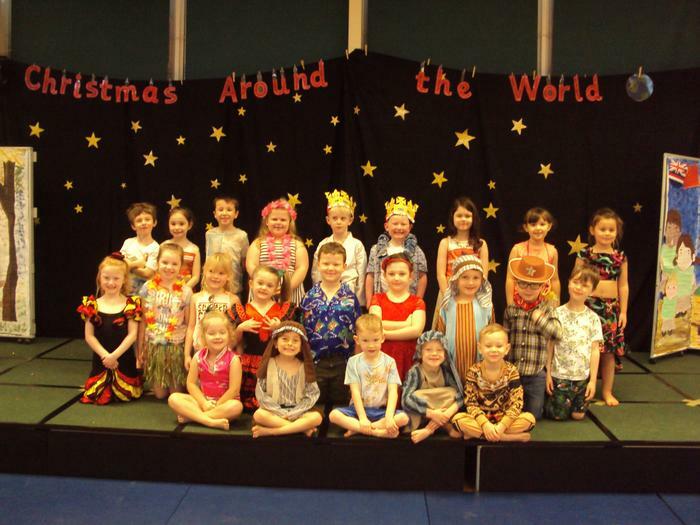 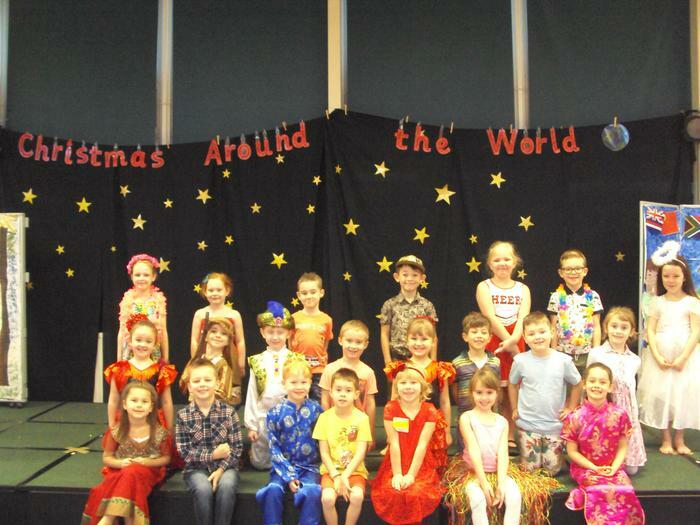 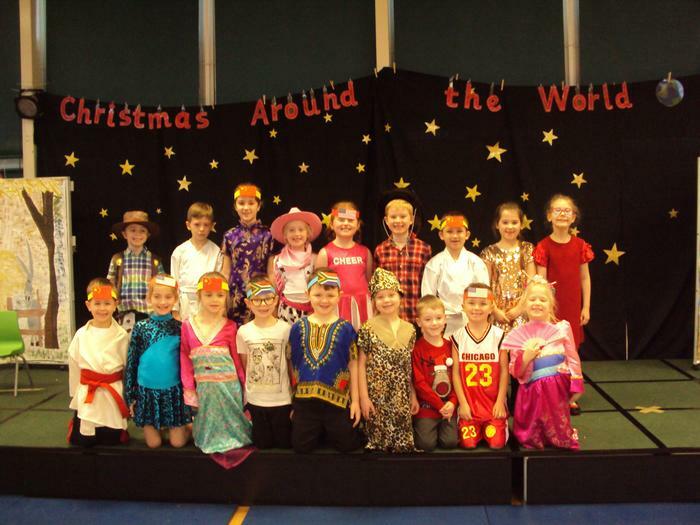 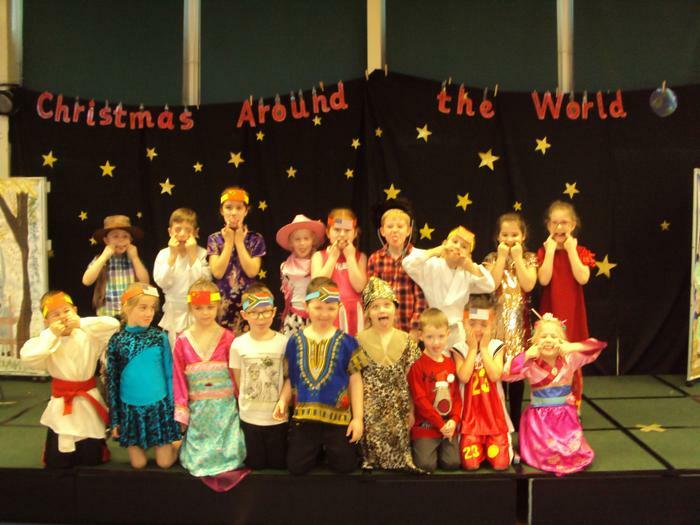 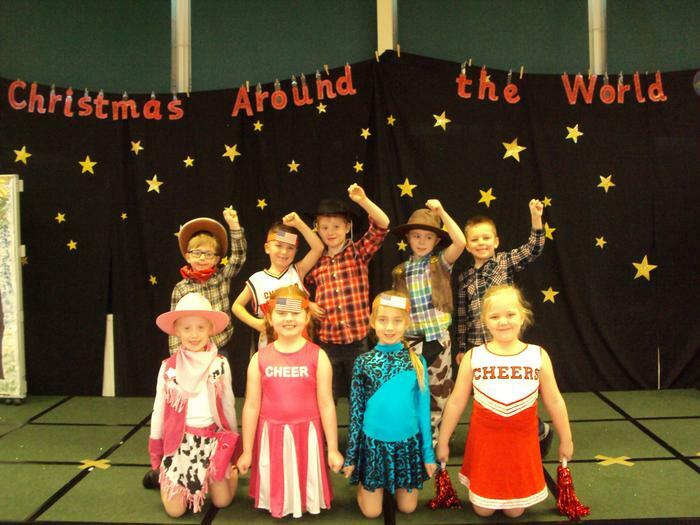 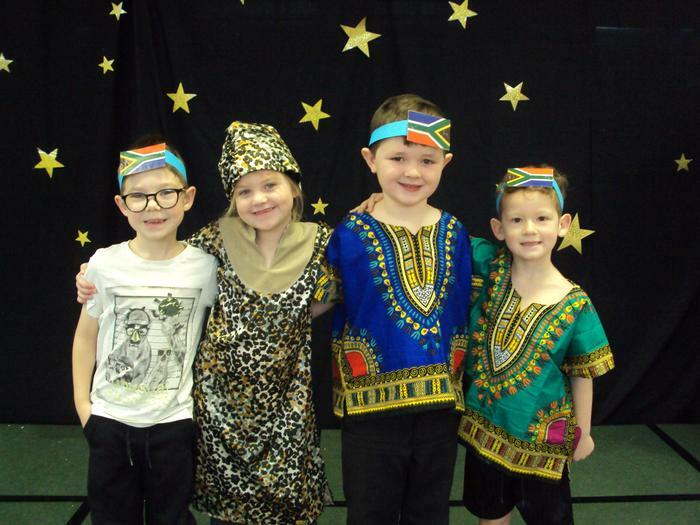 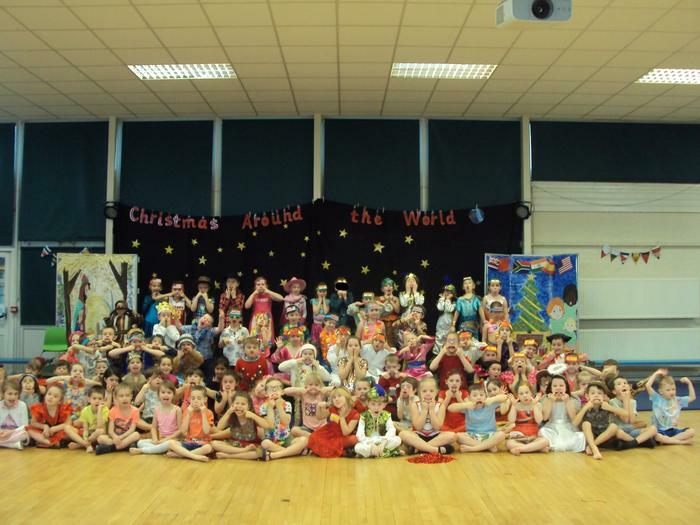 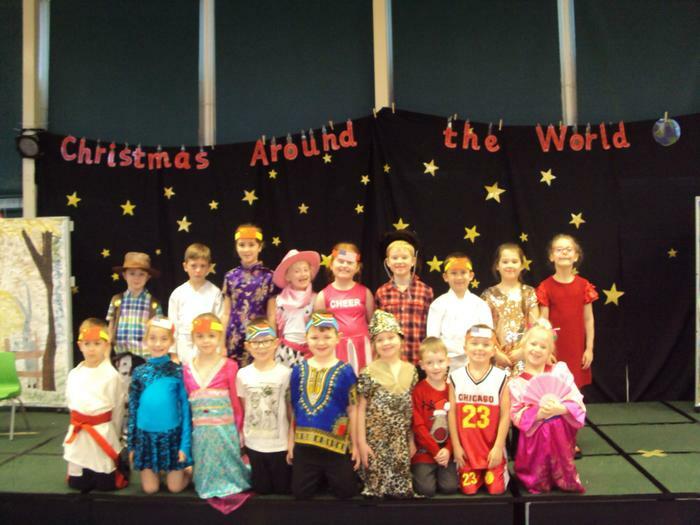 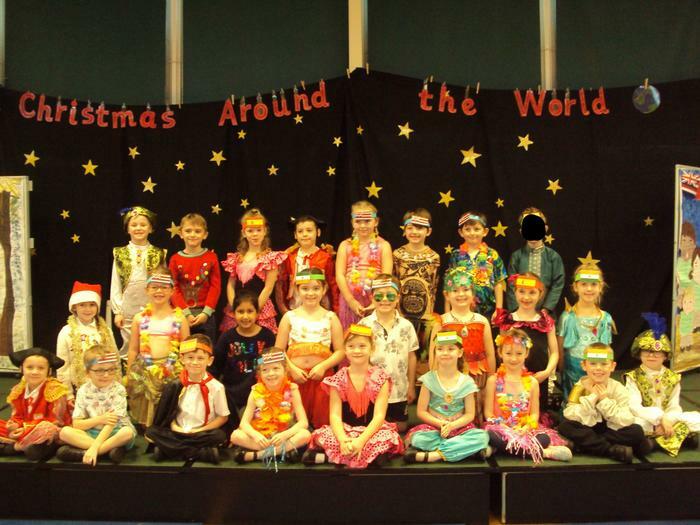 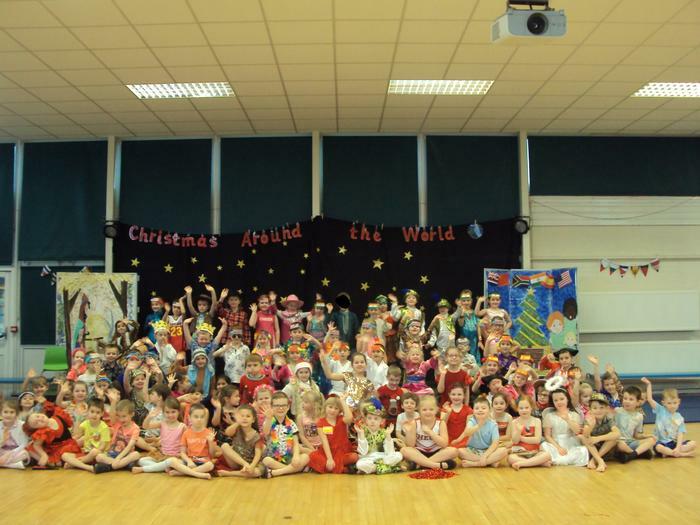 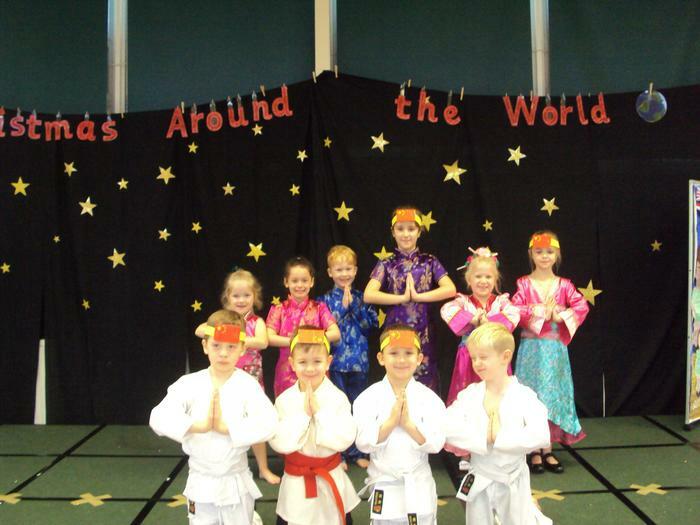 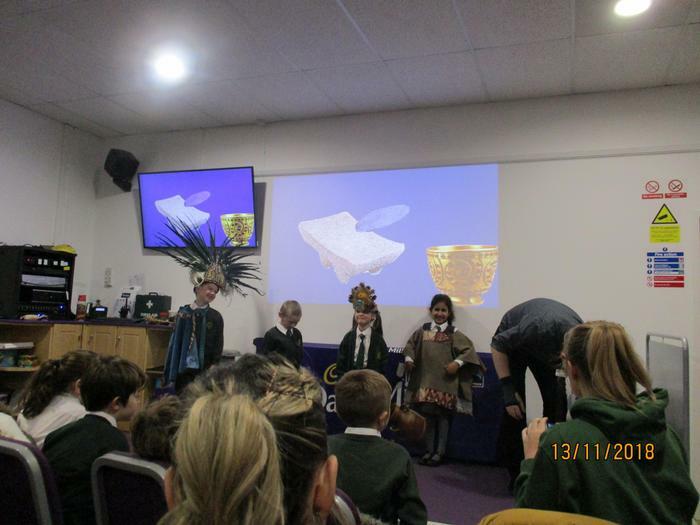 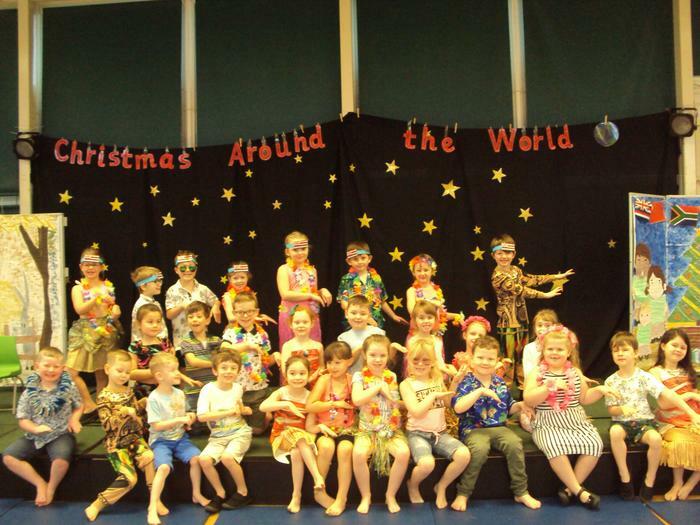 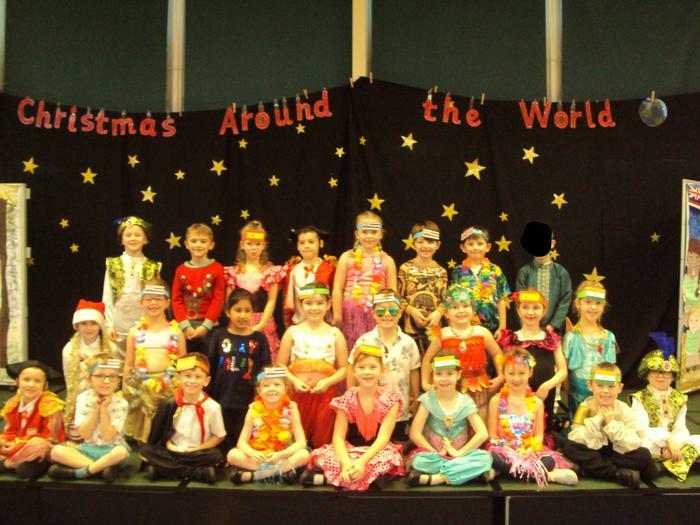 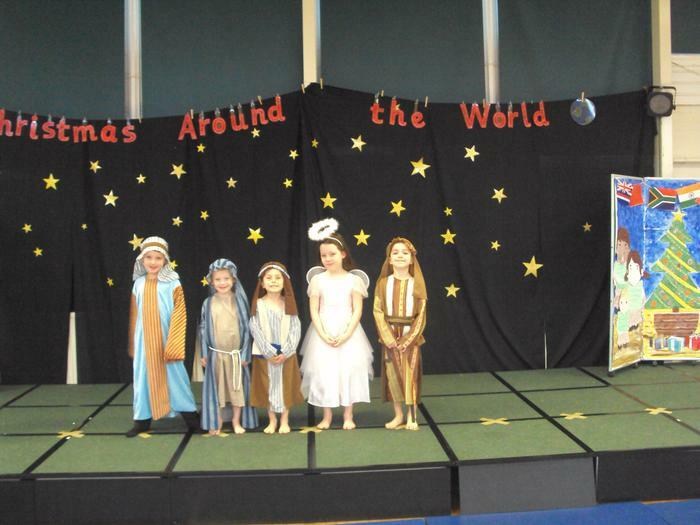 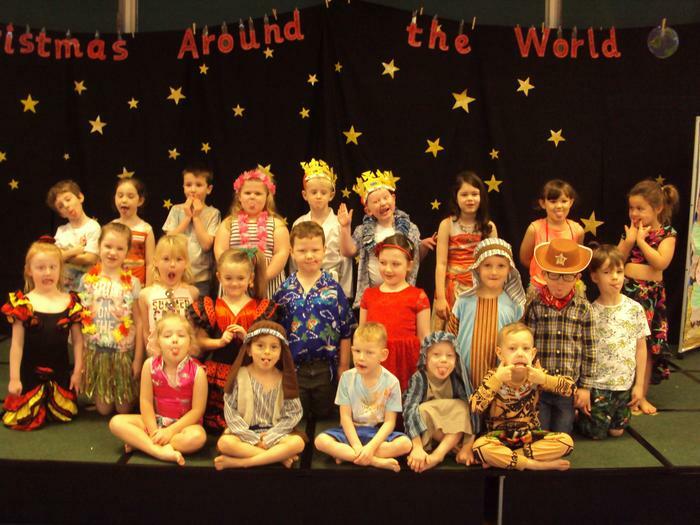 On Tuesday 4th December and Wednesday 5th December Year 1 and 2 performed their nativity 'Christmas Around the World' to packed audiences . 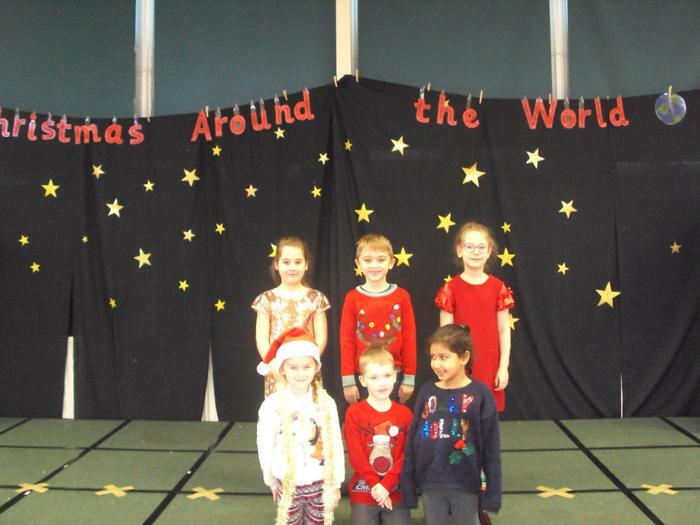 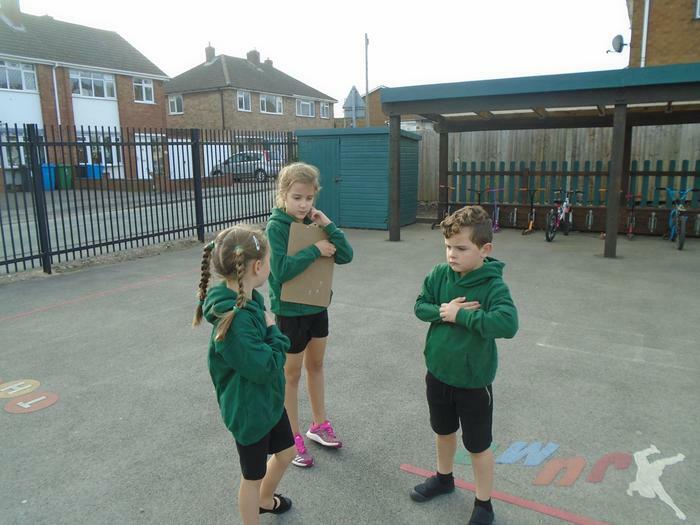 The children did an excellent job singing, saying their lines, dancing and acting. 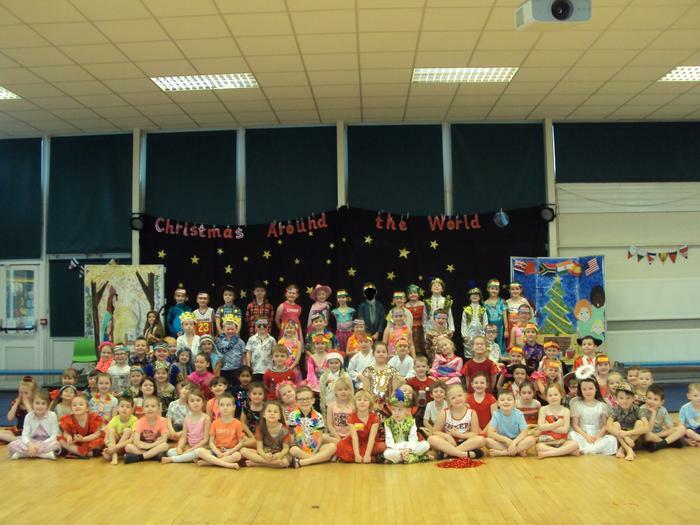 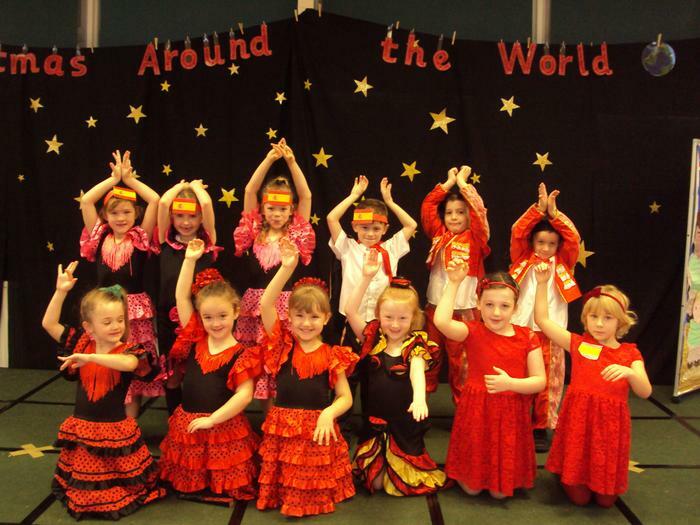 Thank you to everyone who helped with the performances including organising the children's amazing costumes. 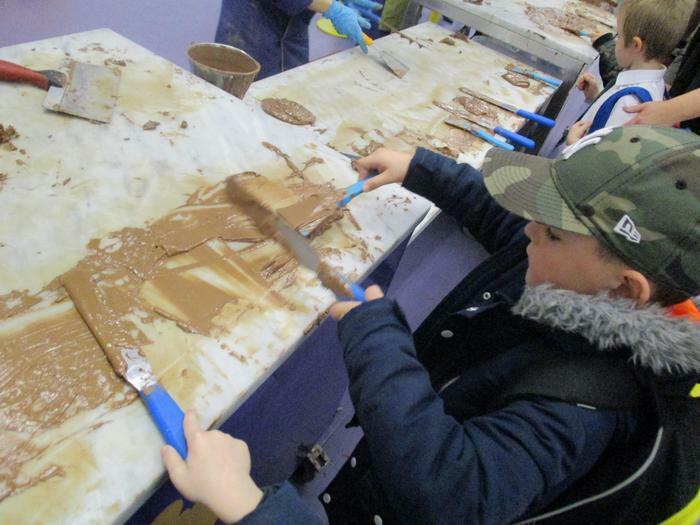 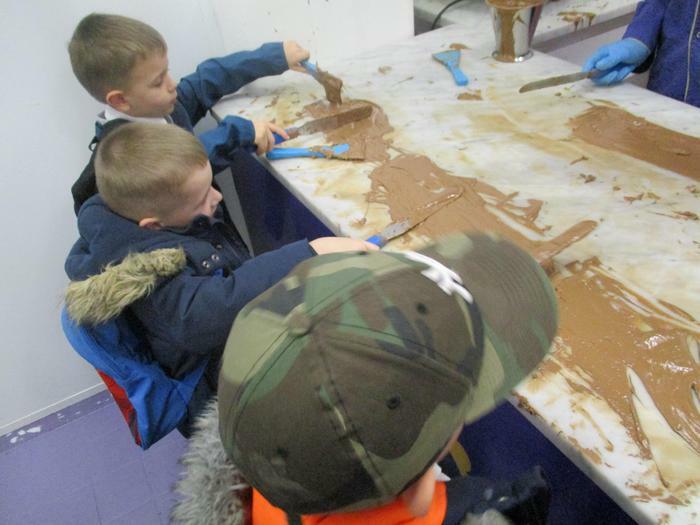 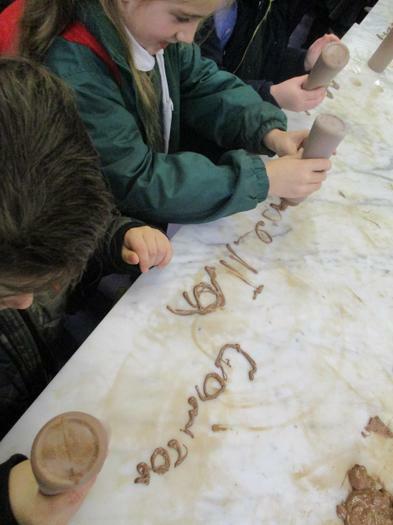 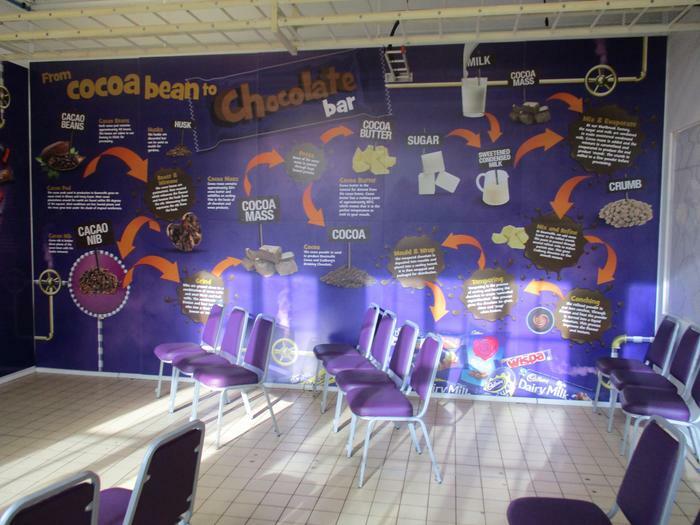 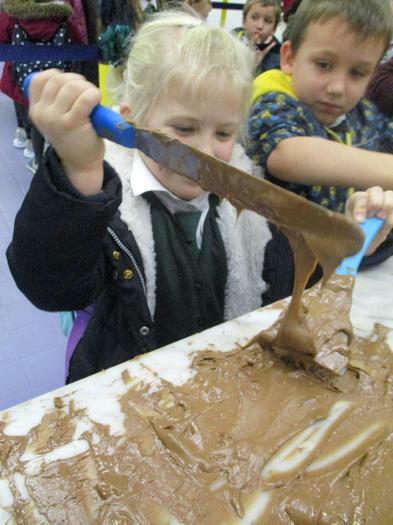 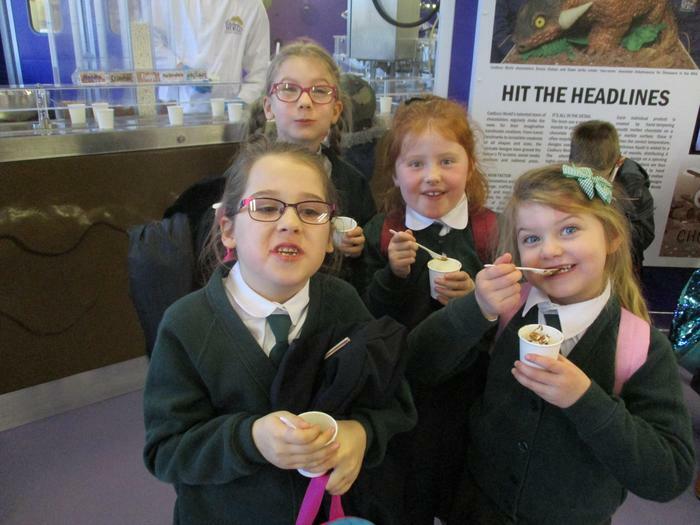 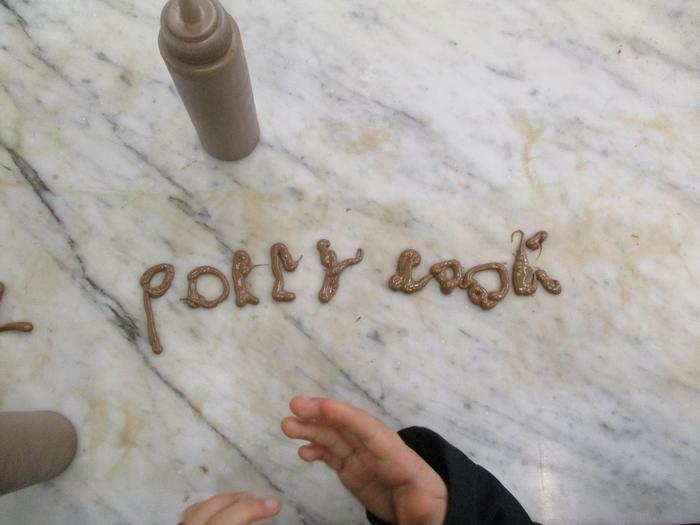 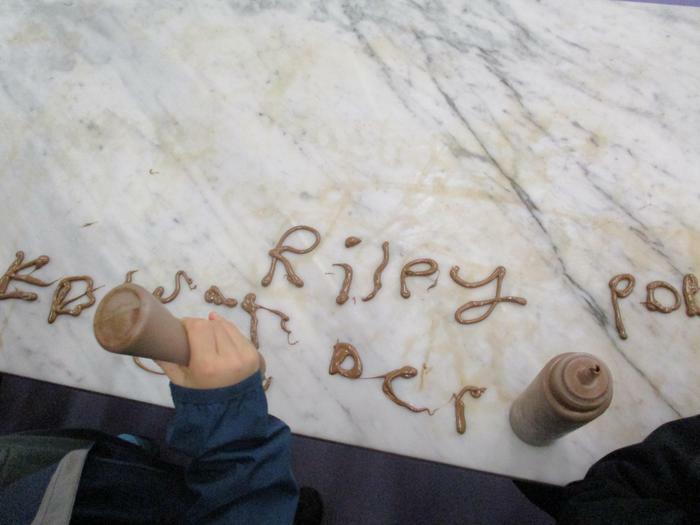 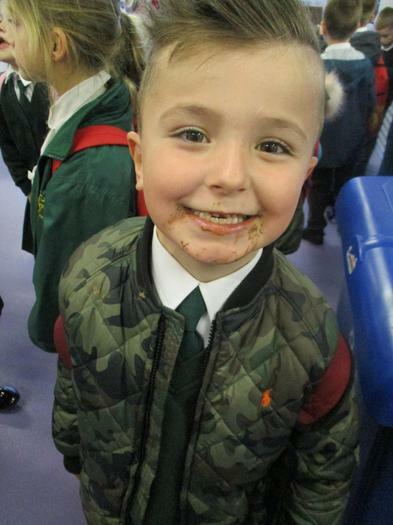 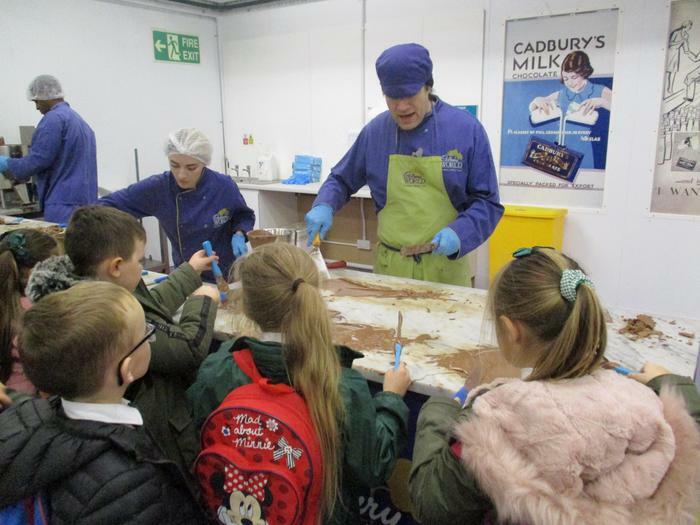 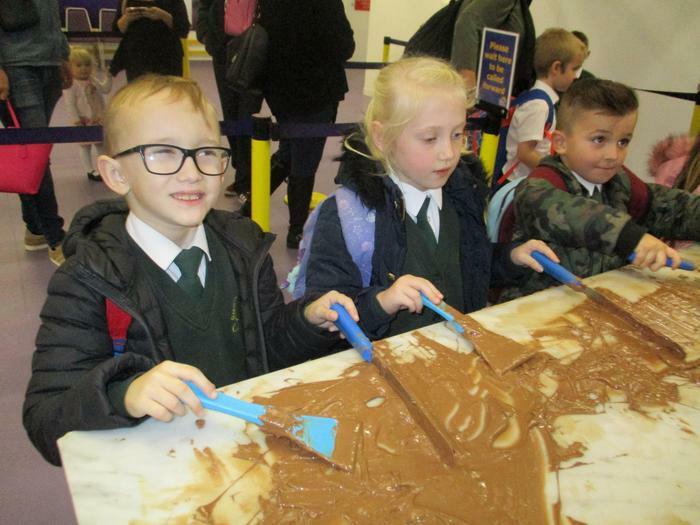 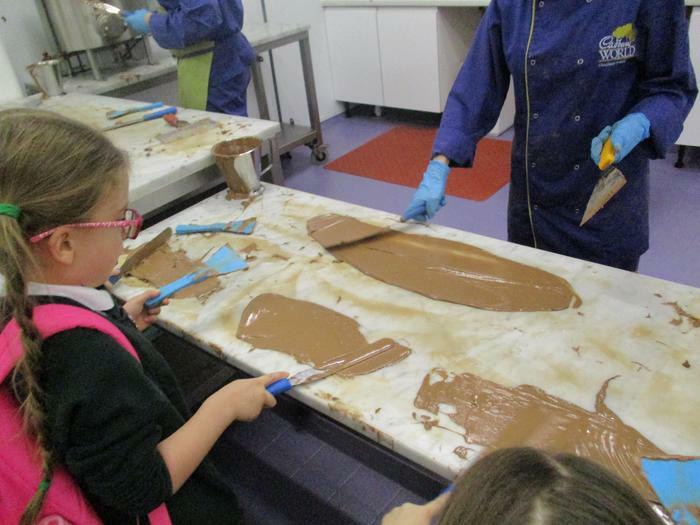 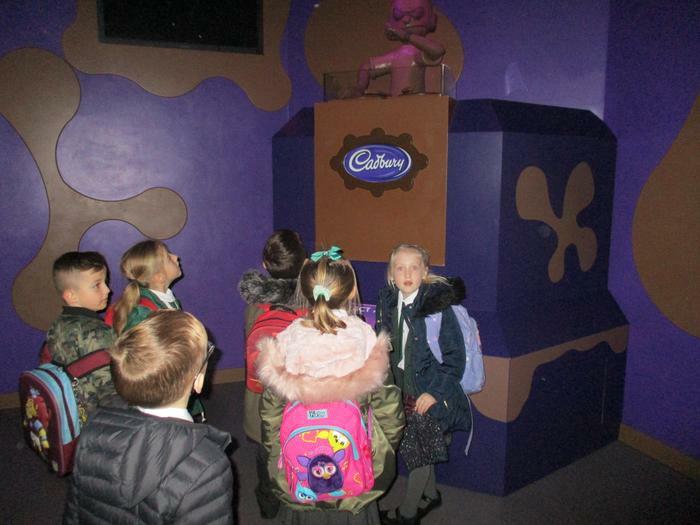 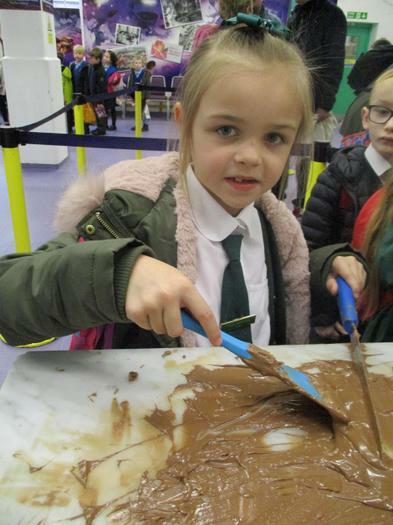 They took part in workshop about where chocolate comes from and how it is made! 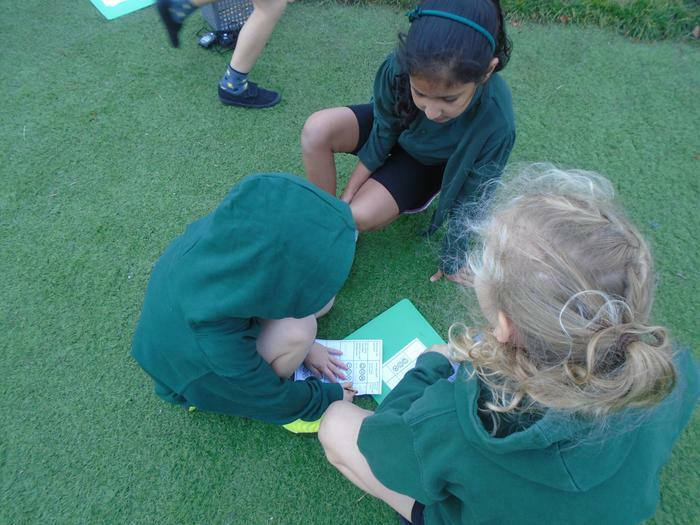 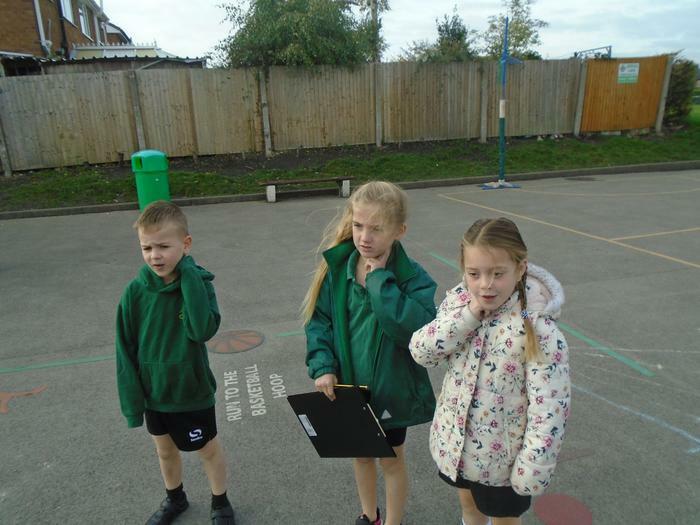 This half term we have been investigating changes within living memory. 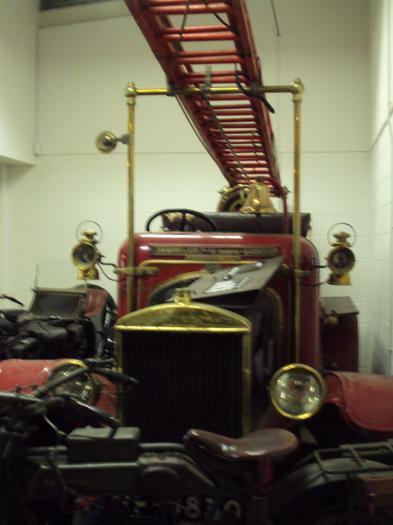 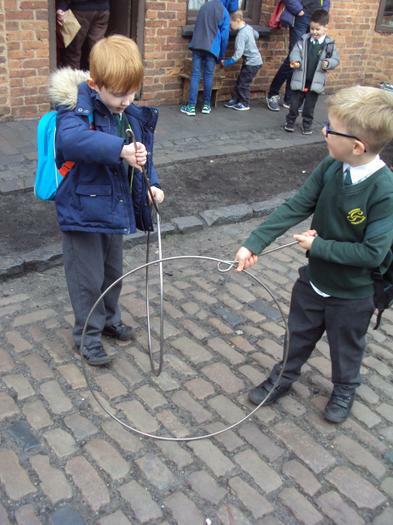 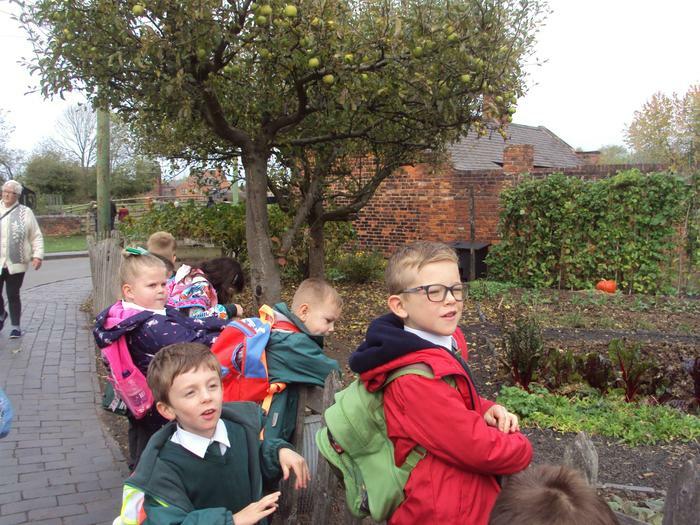 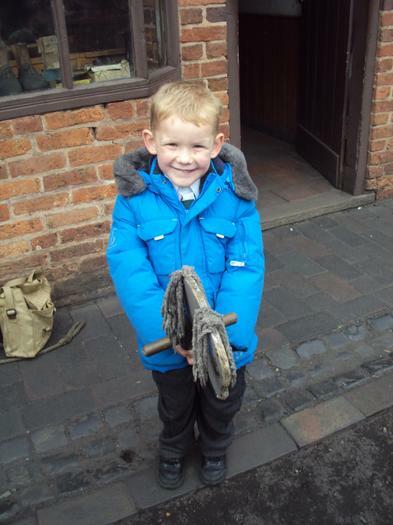 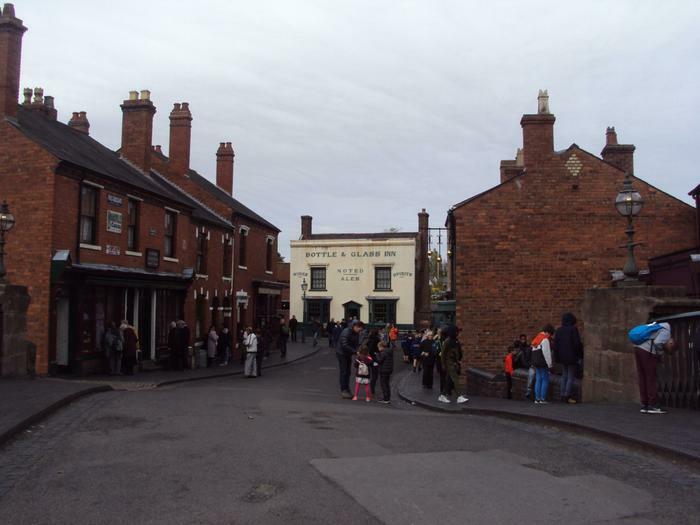 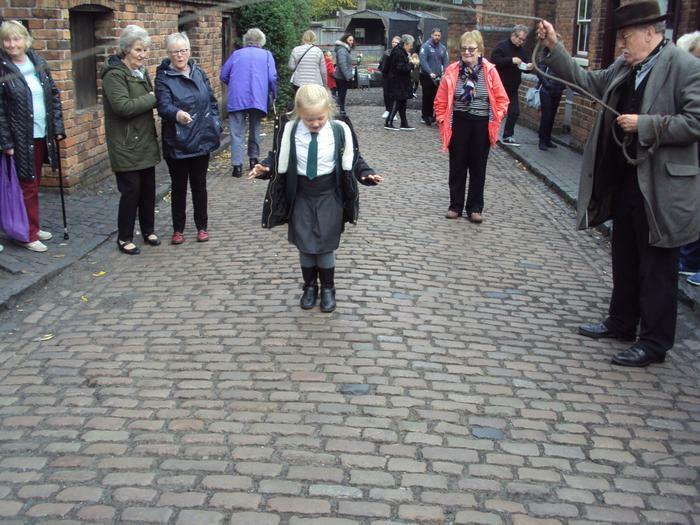 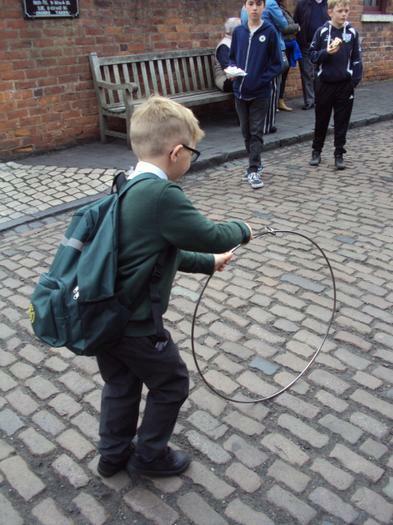 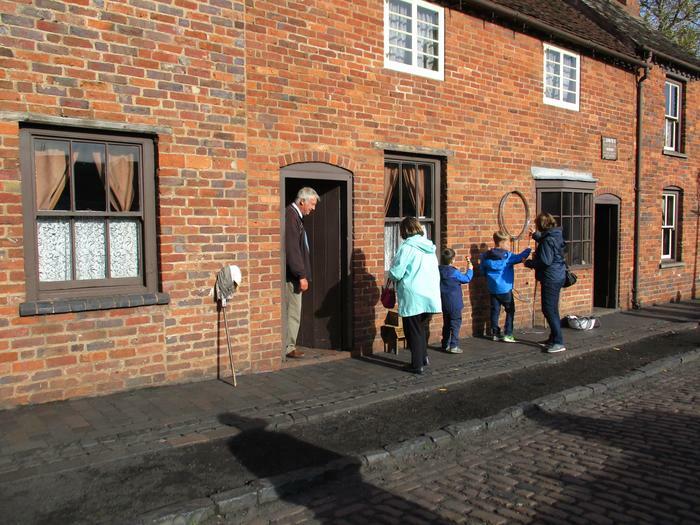 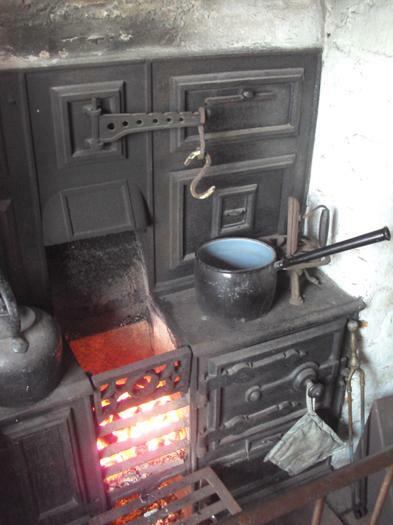 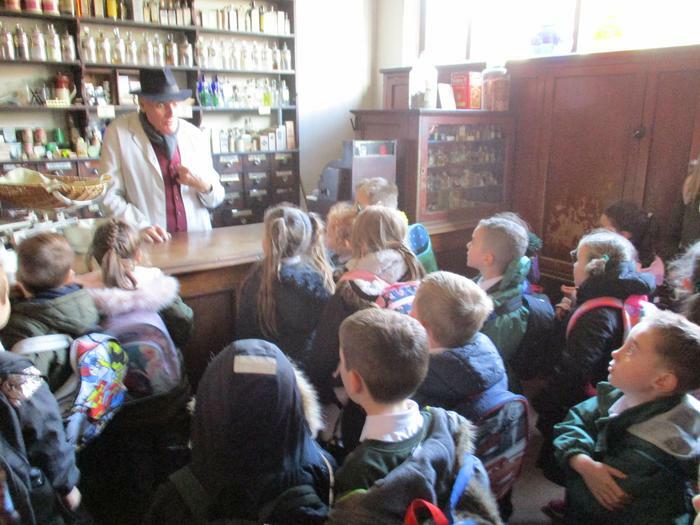 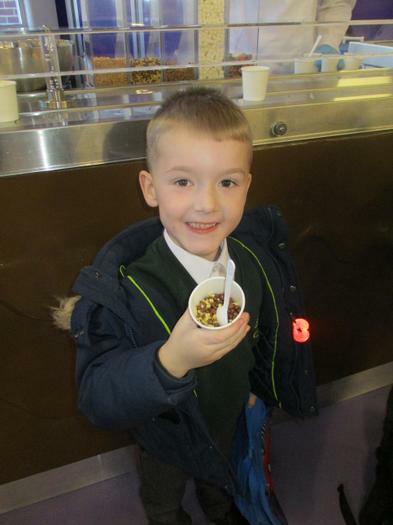 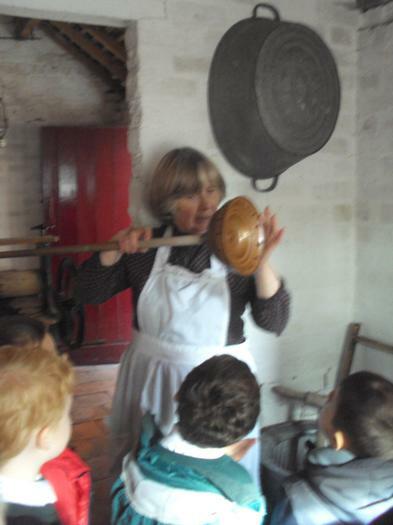 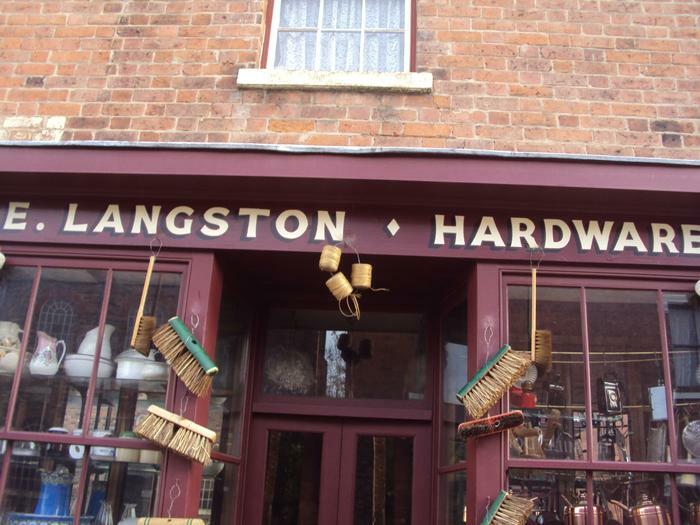 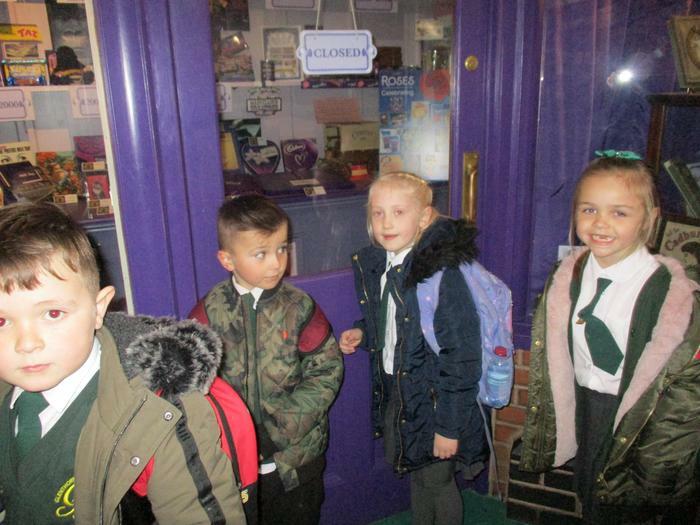 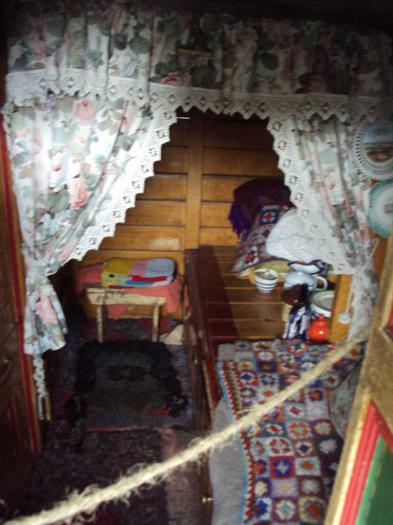 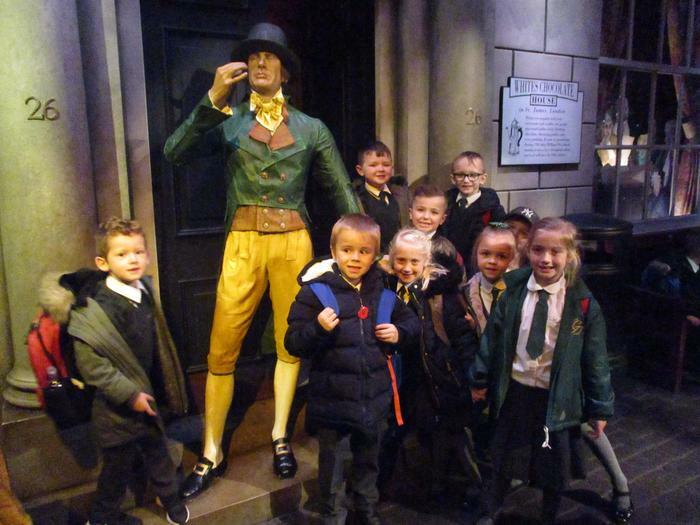 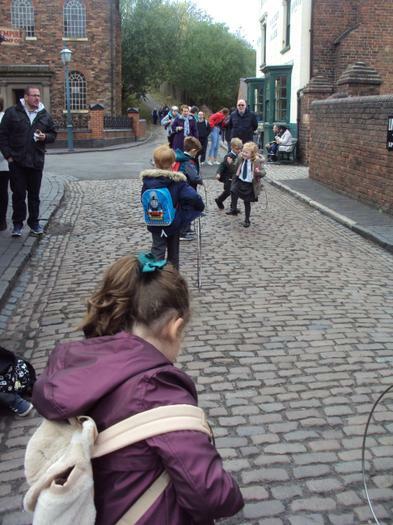 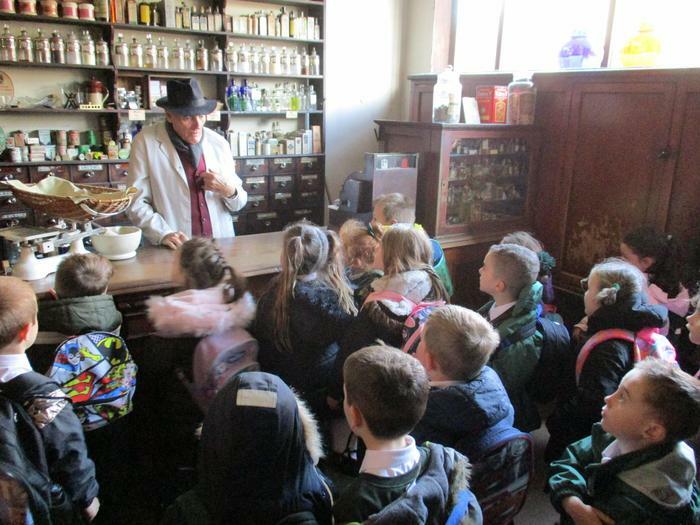 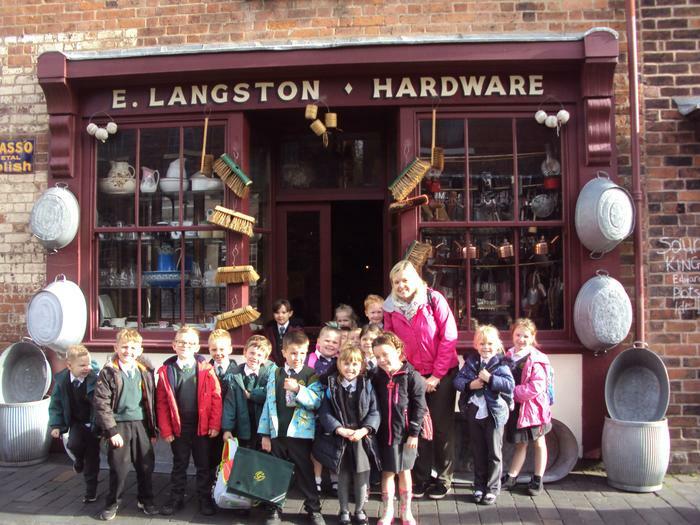 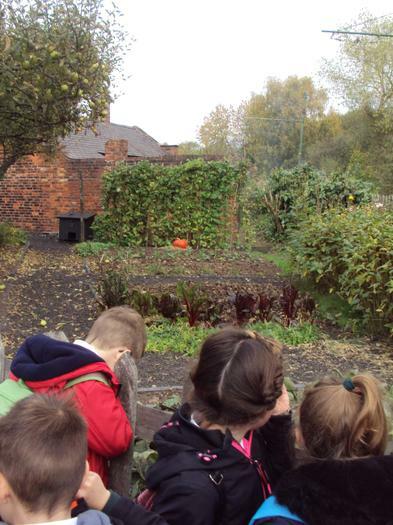 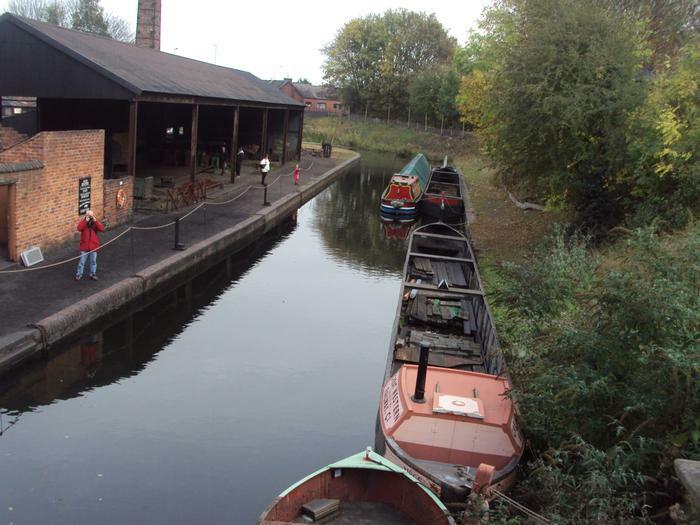 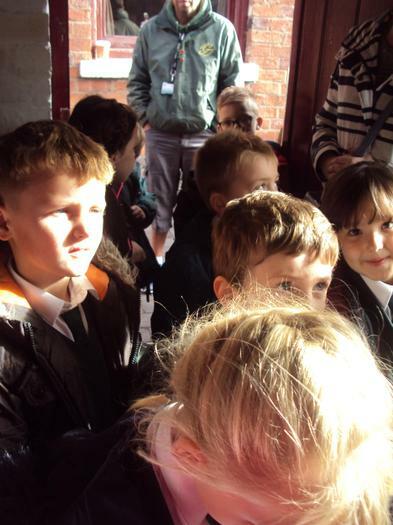 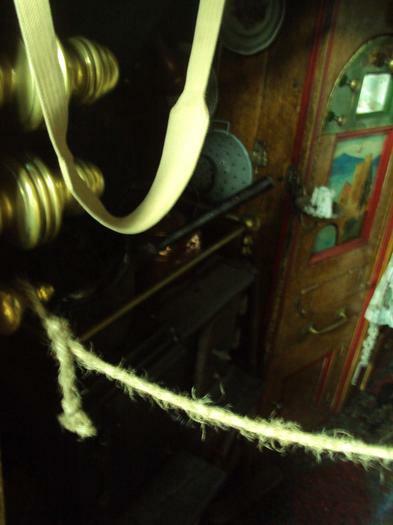 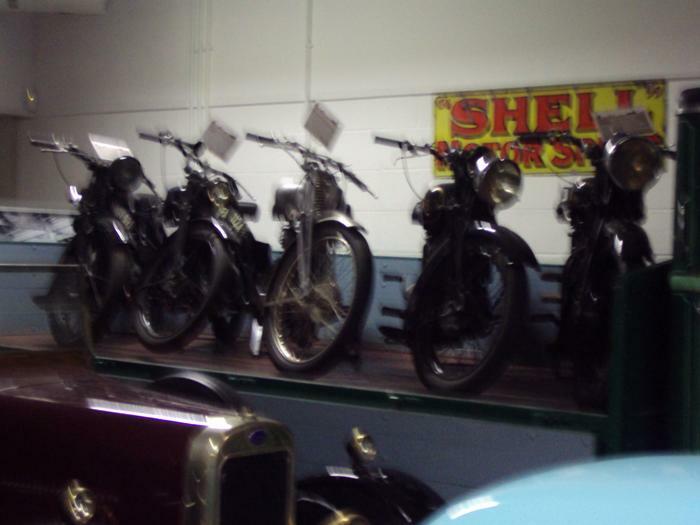 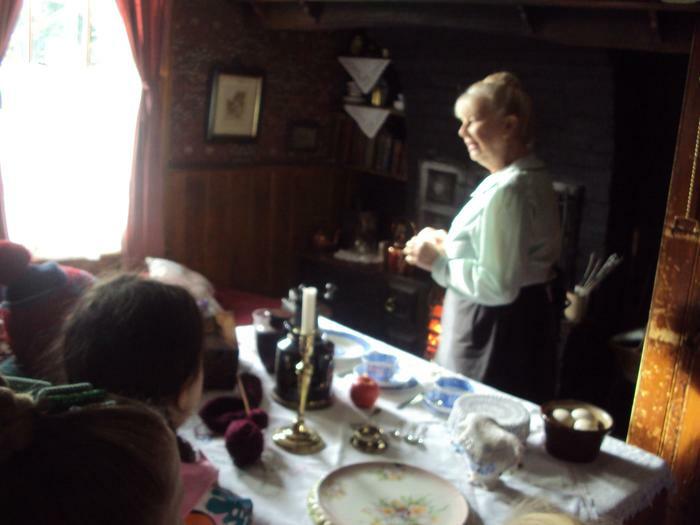 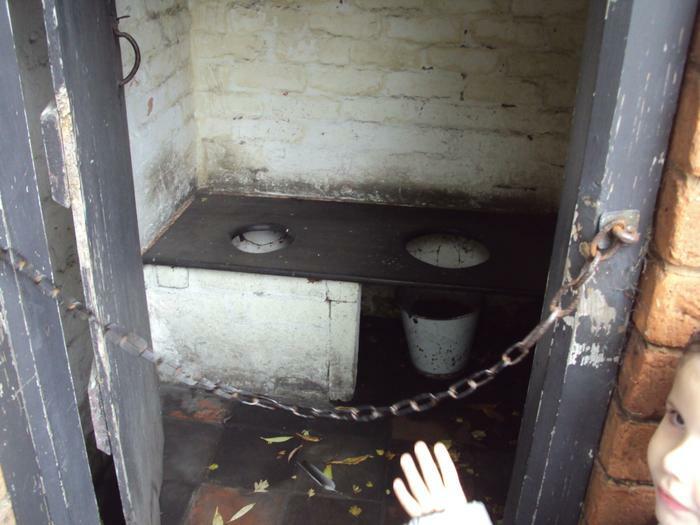 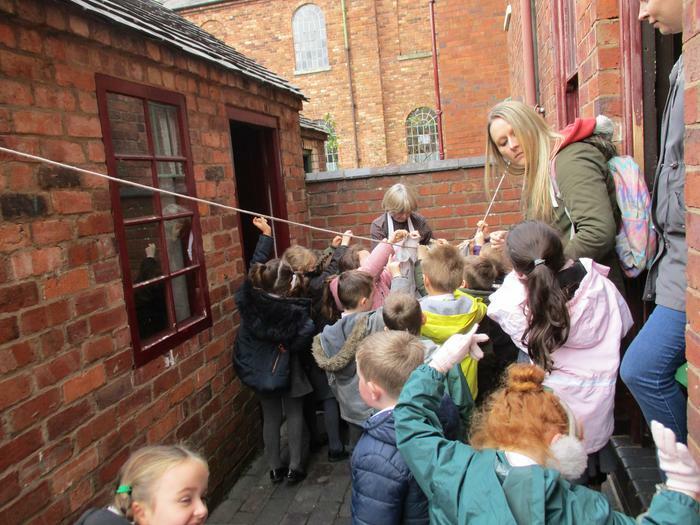 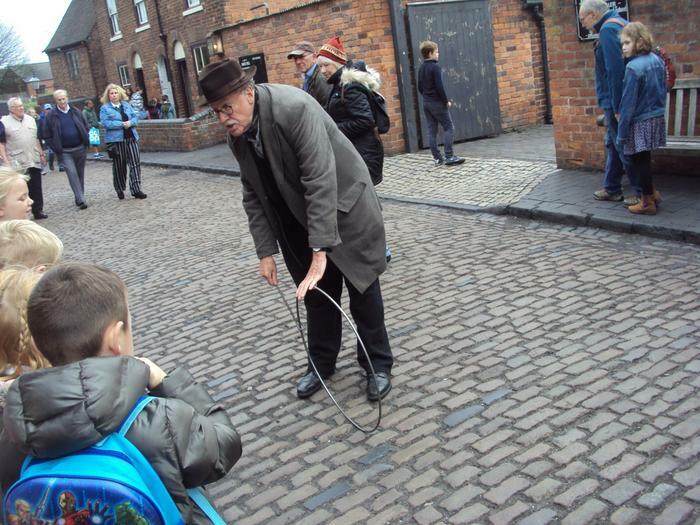 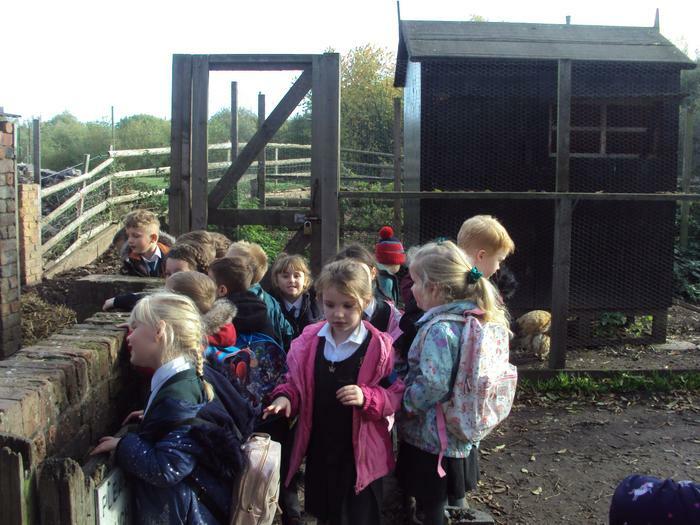 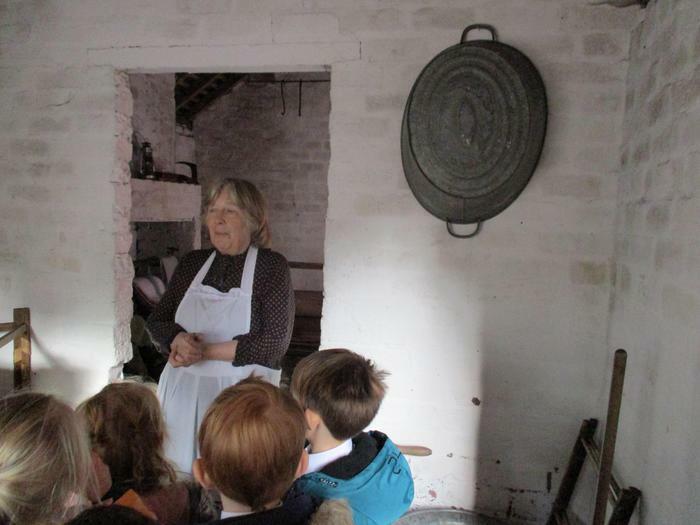 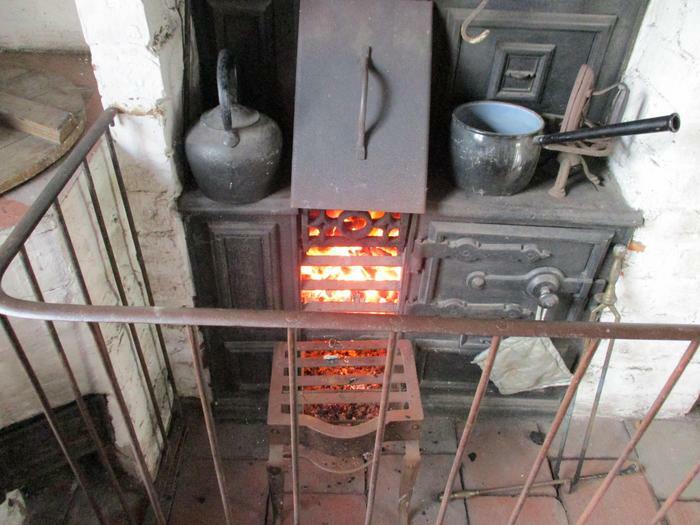 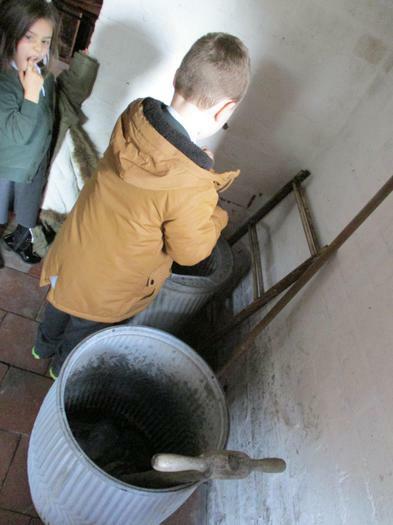 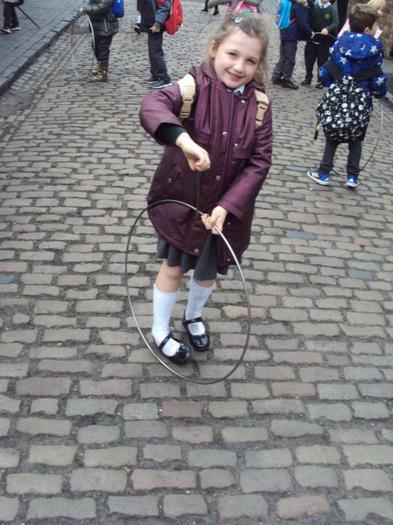 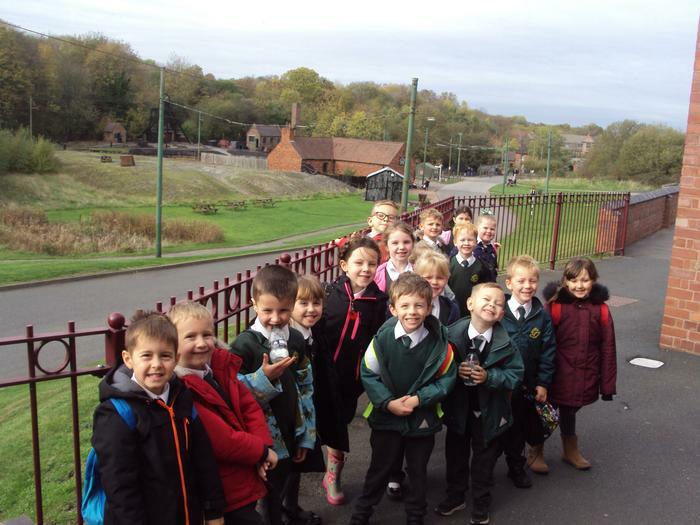 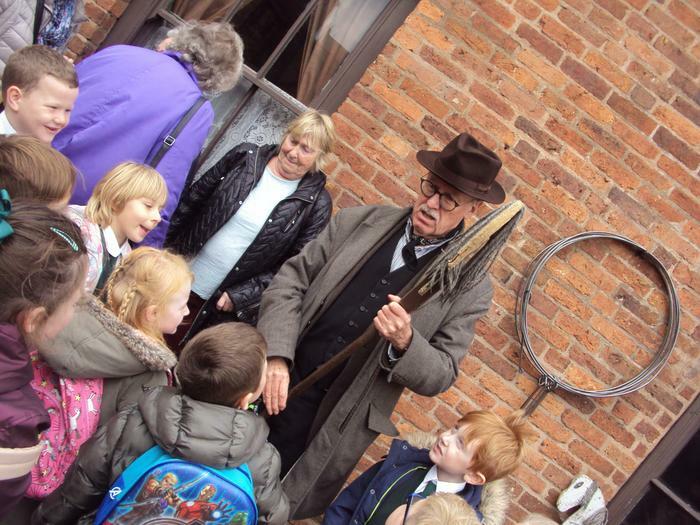 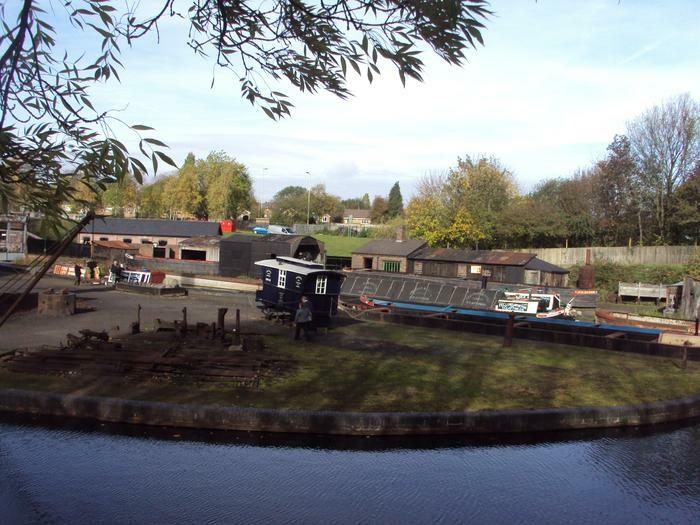 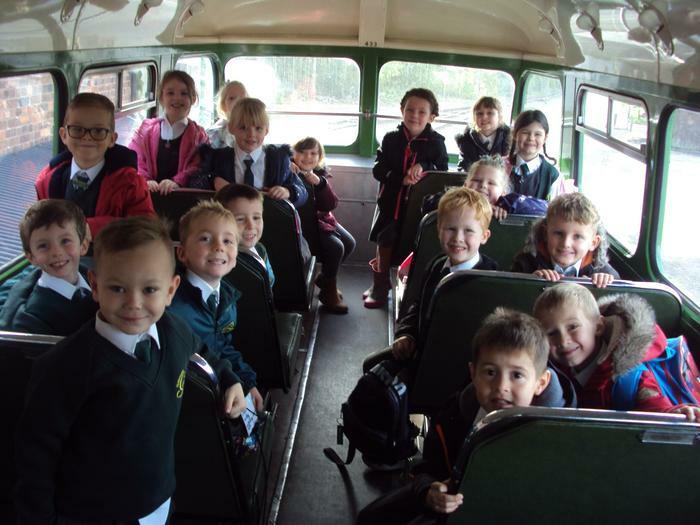 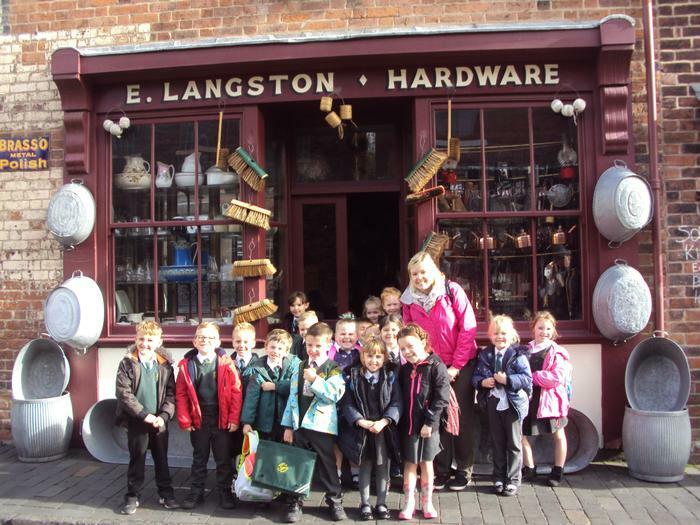 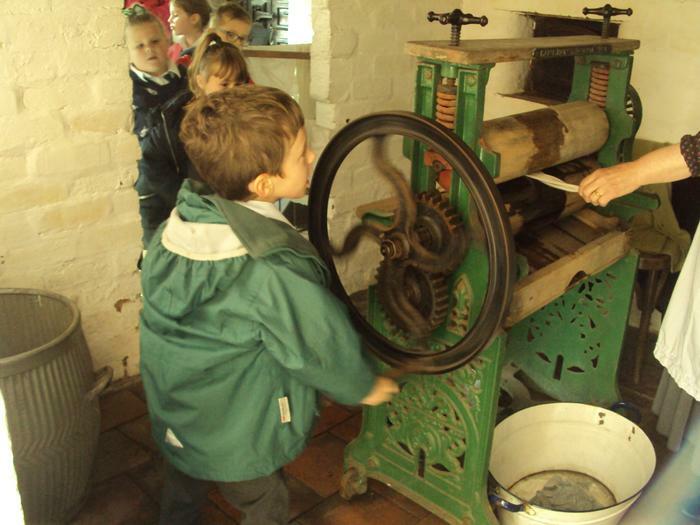 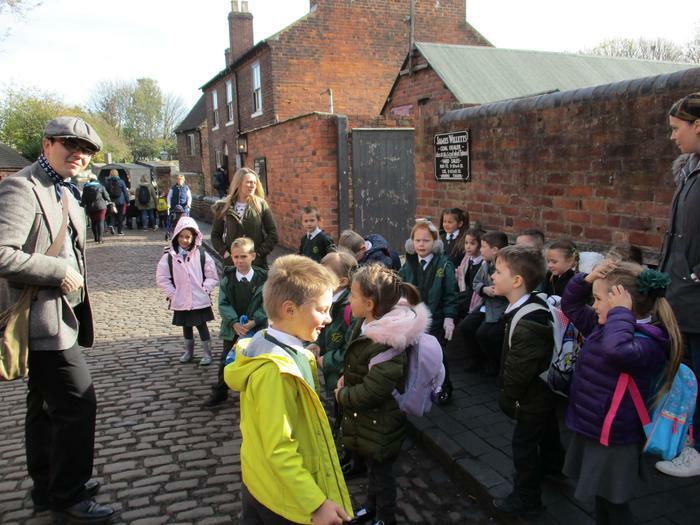 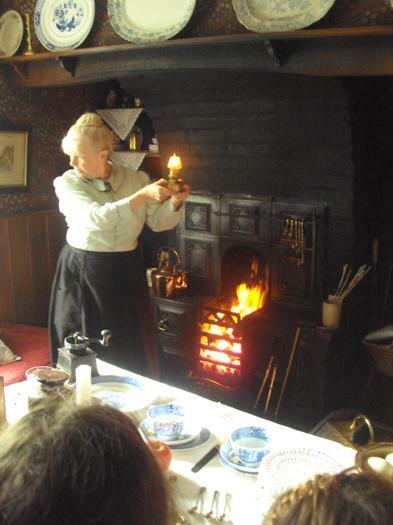 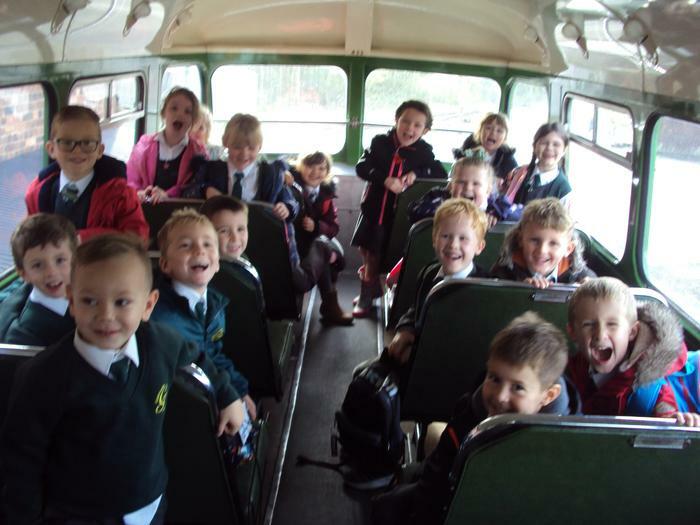 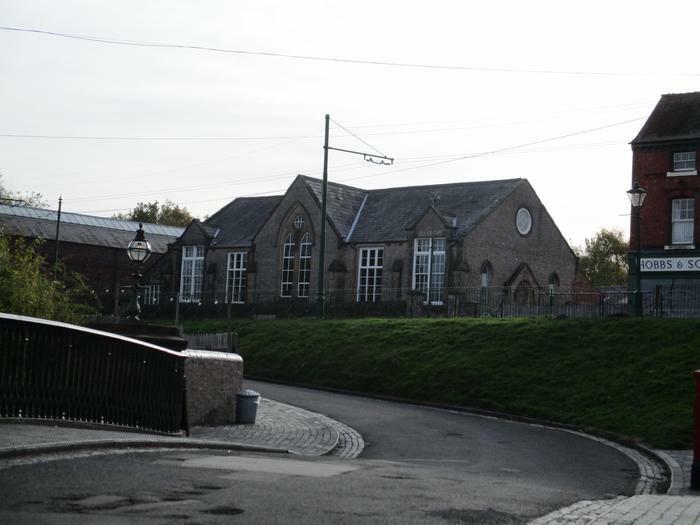 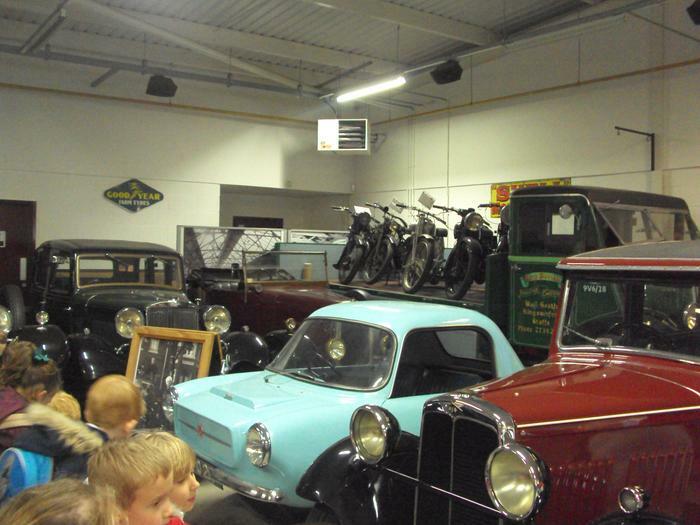 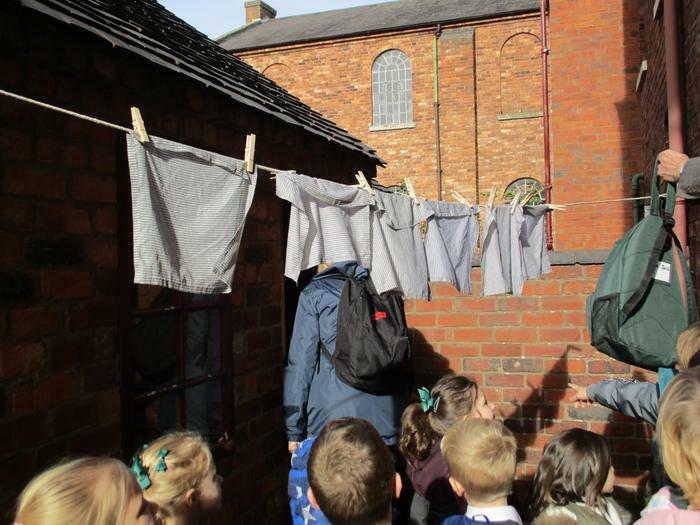 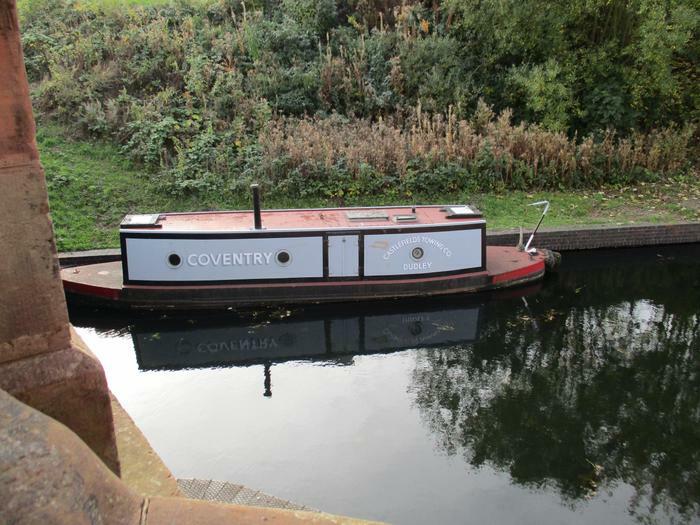 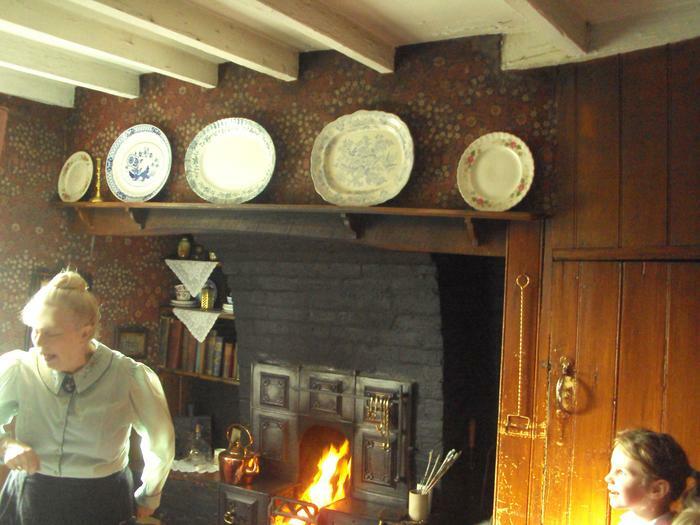 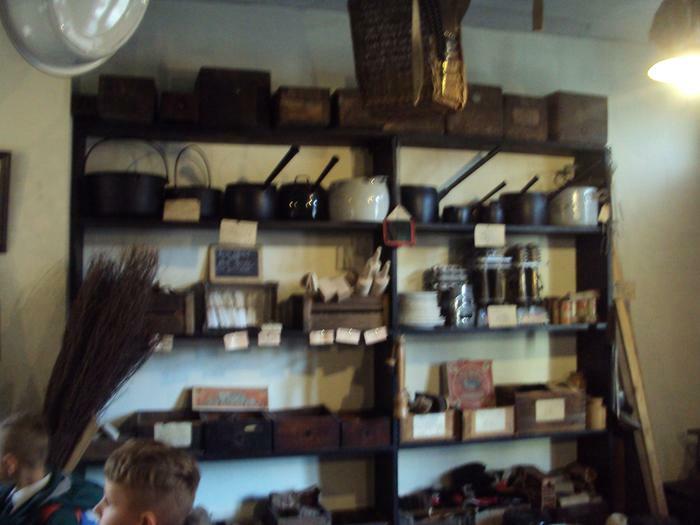 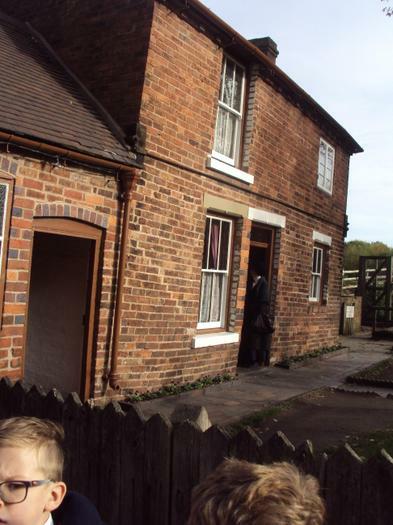 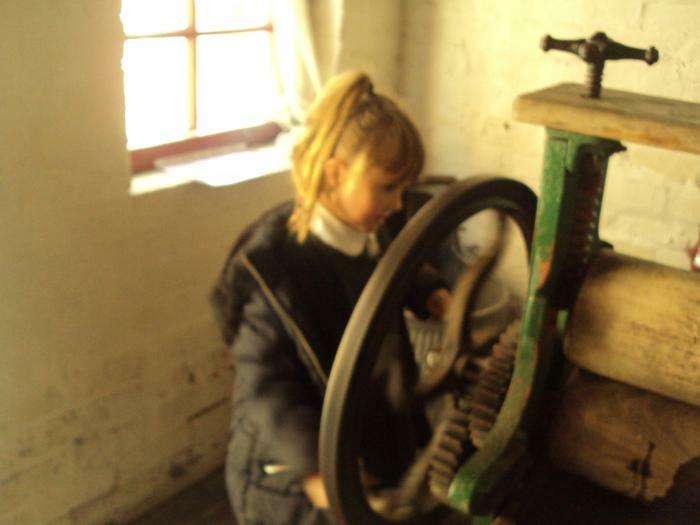 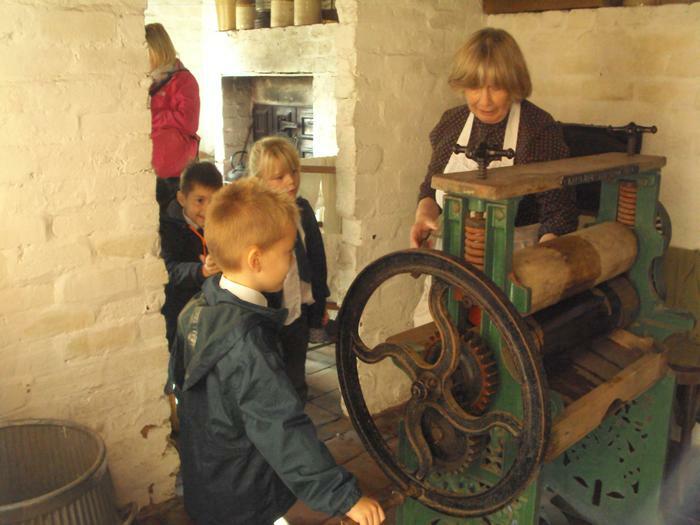 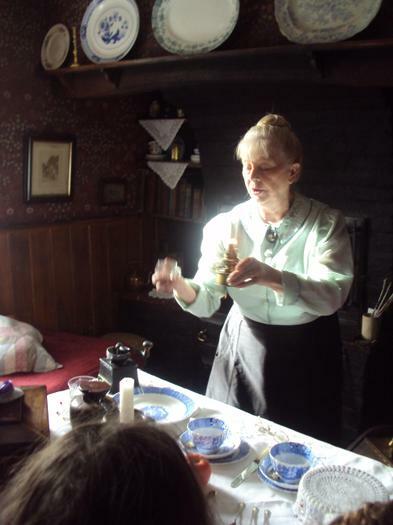 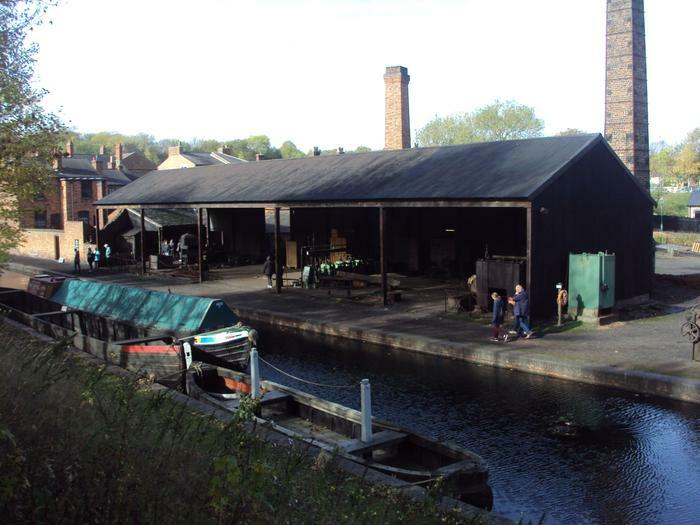 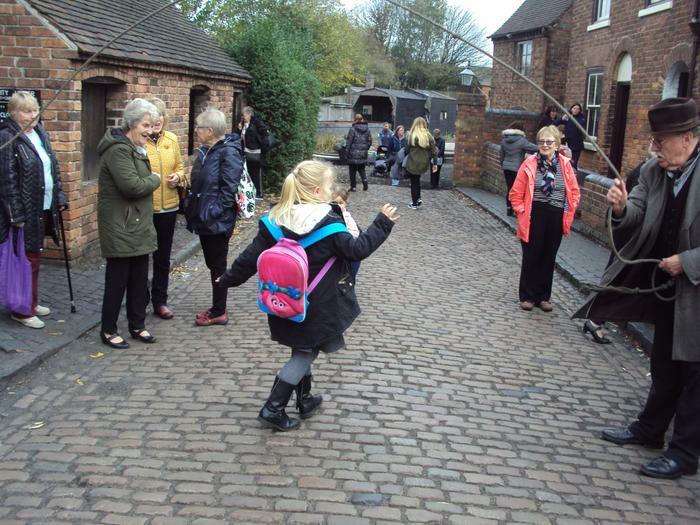 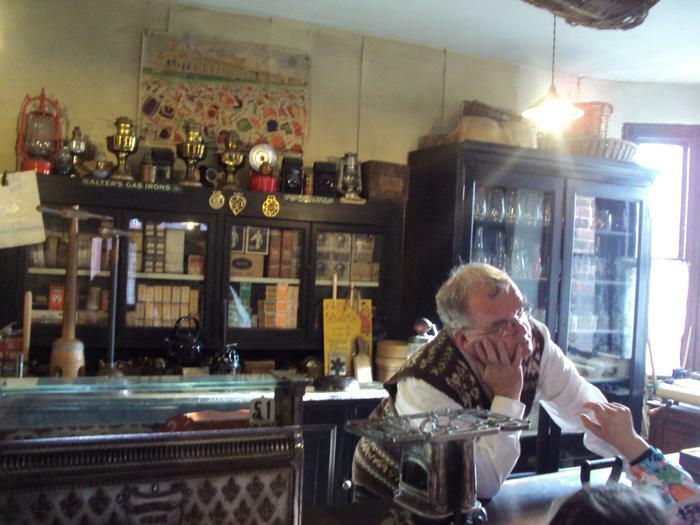 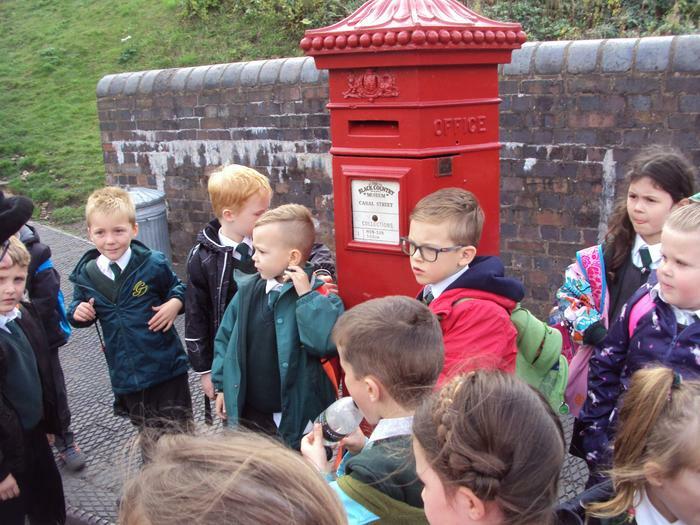 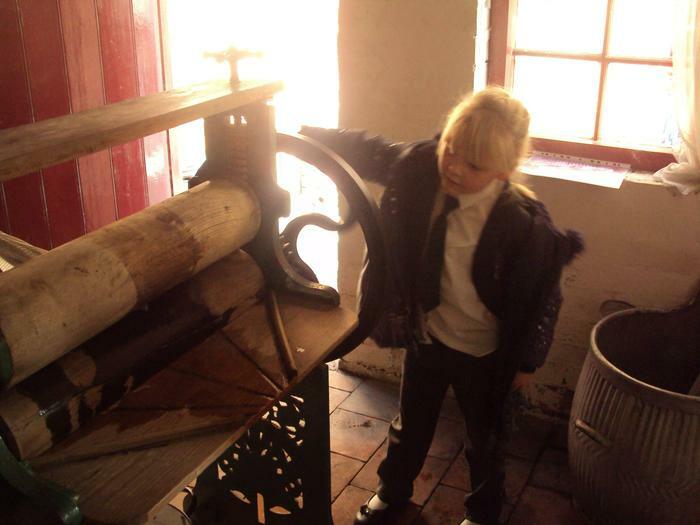 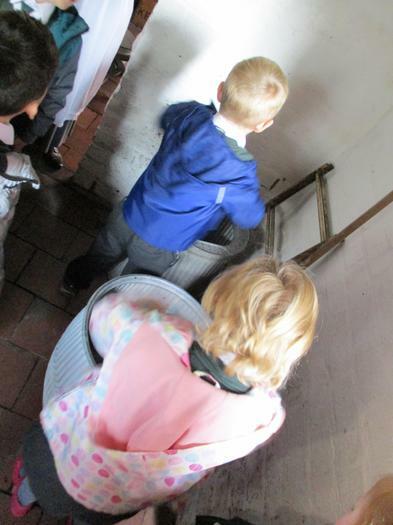 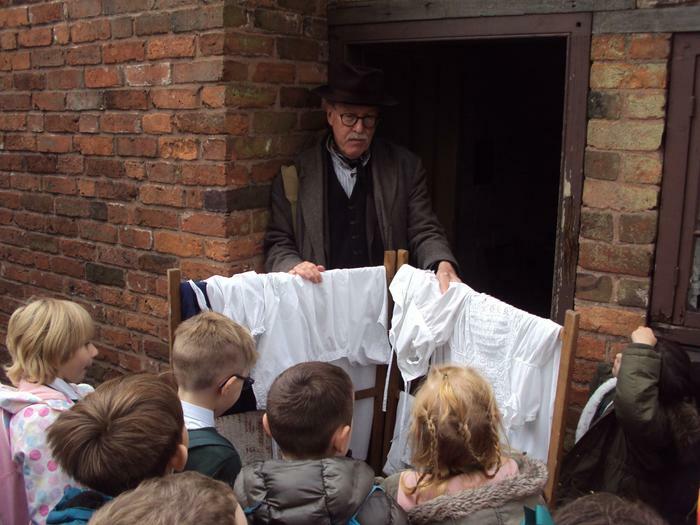 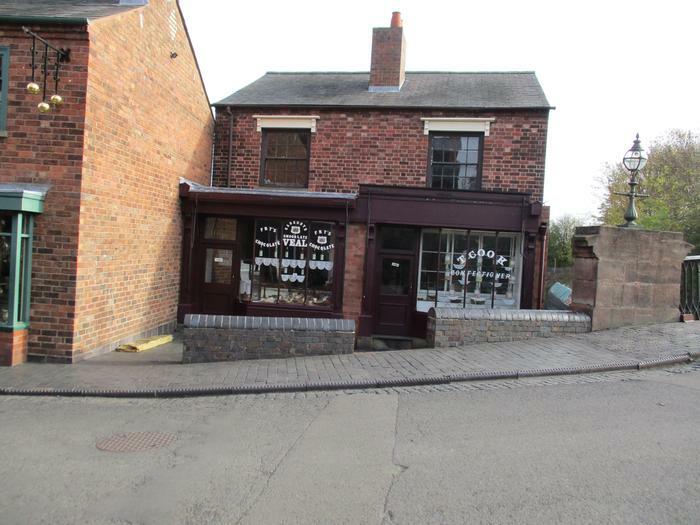 As part of this topic, Year 1 visited Black Country Living Museum on Tuesday 23rd October.All the children had a brilliant time learning about how homes were different in the past, how transport and toys have changed over time and how the lives of their grandparents and great grandparents were different to their own. 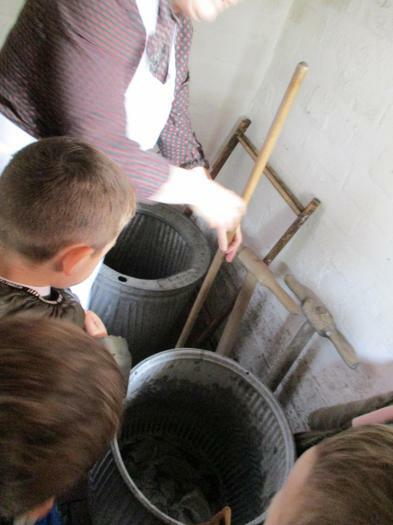 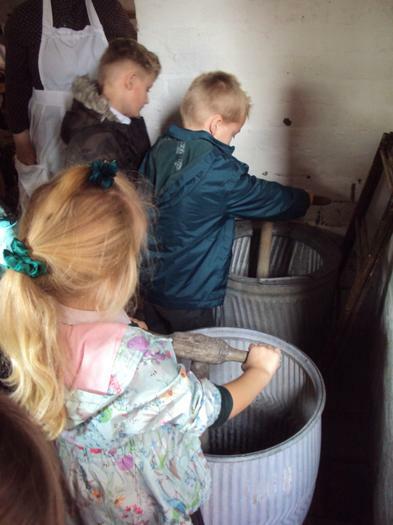 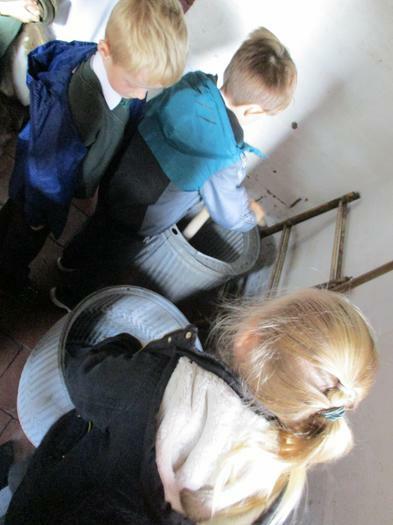 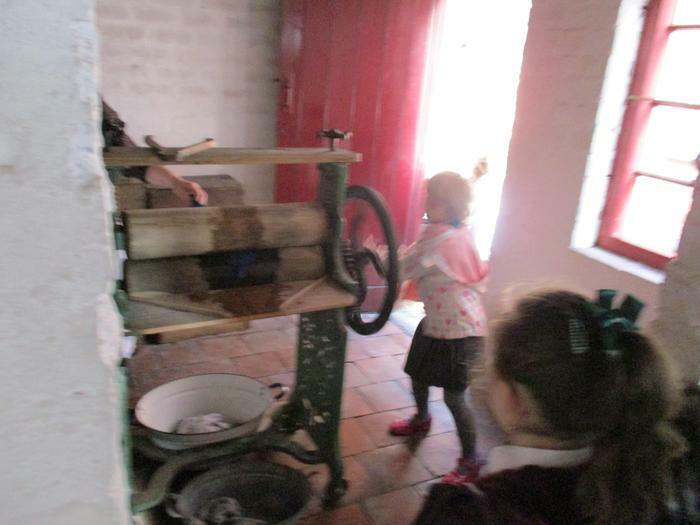 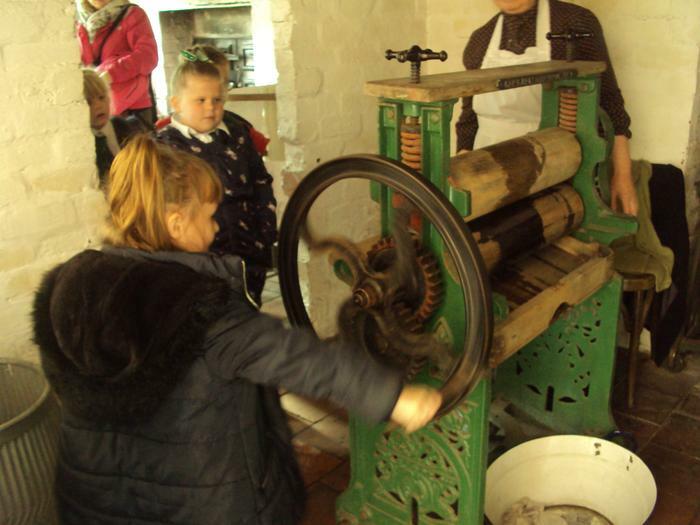 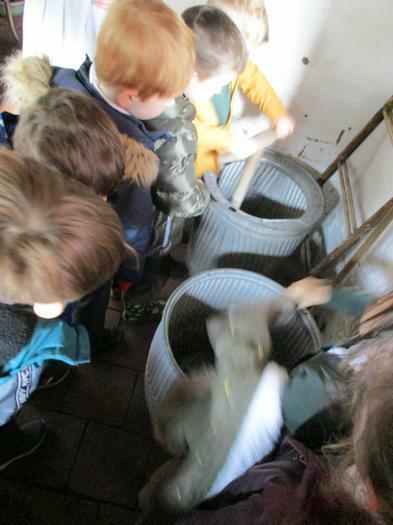 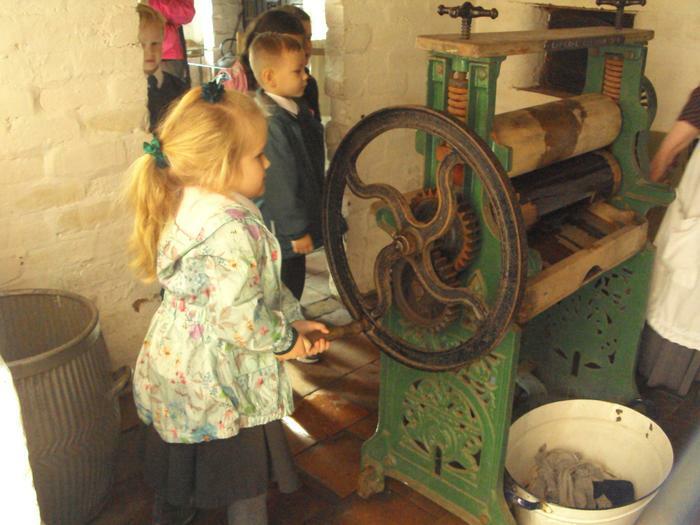 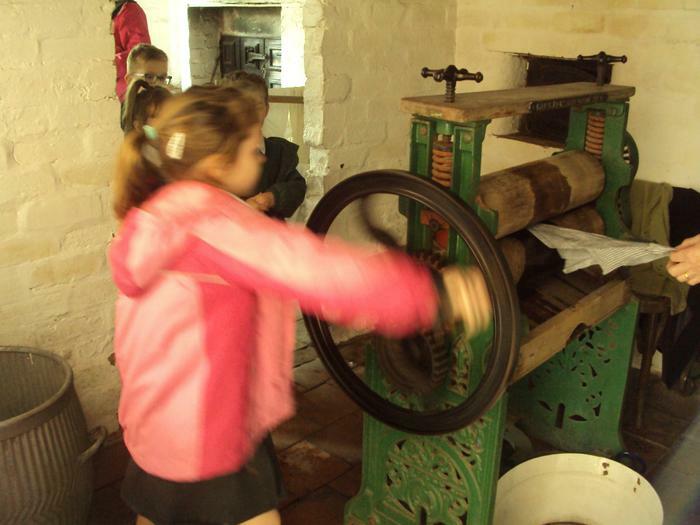 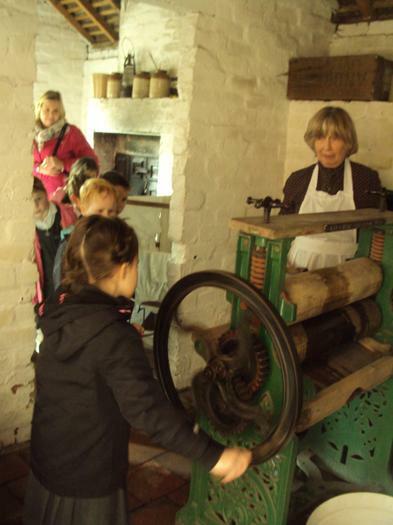 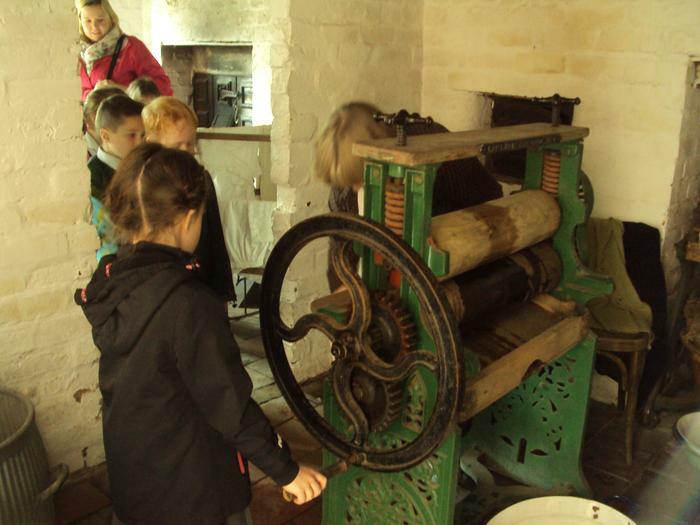 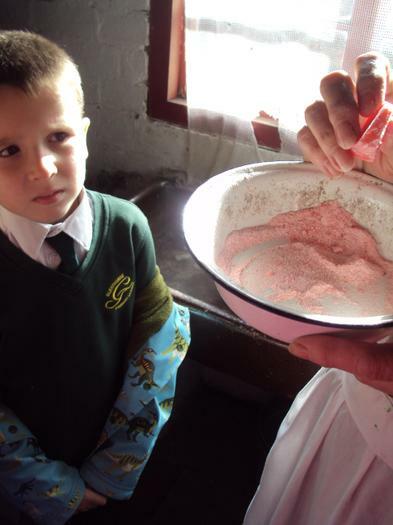 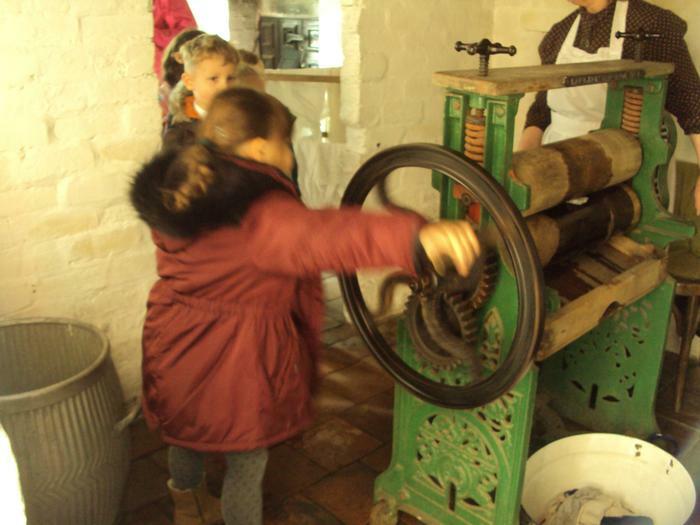 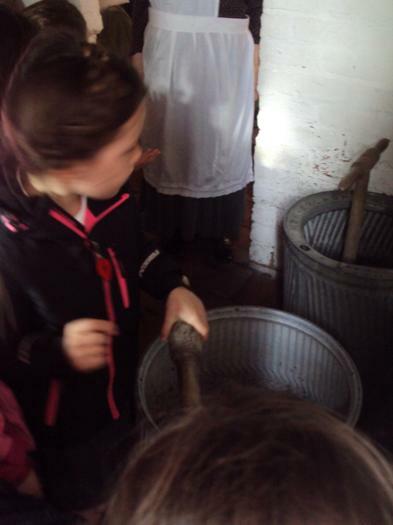 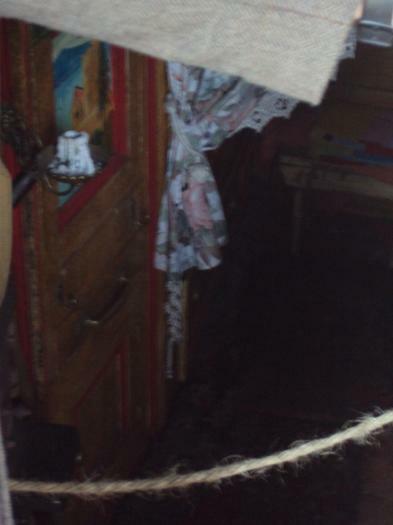 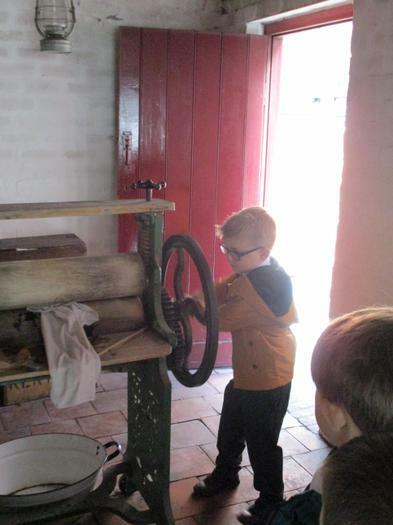 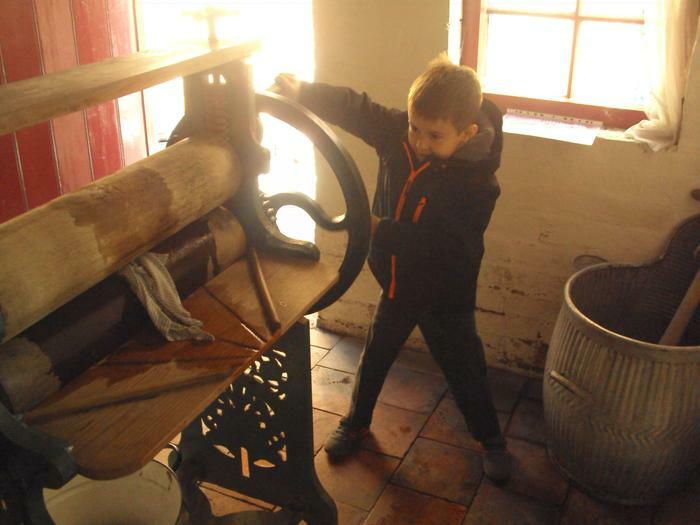 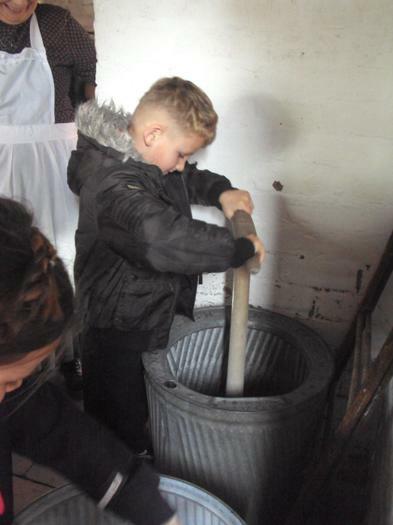 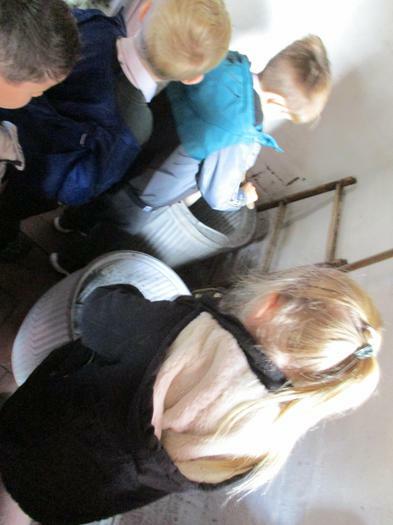 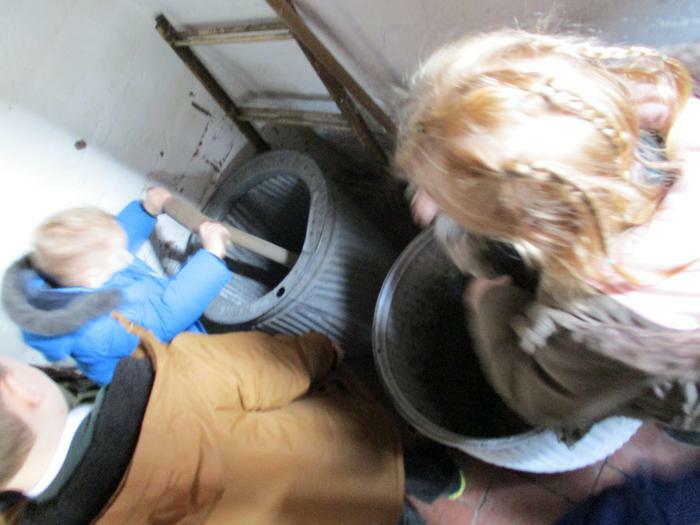 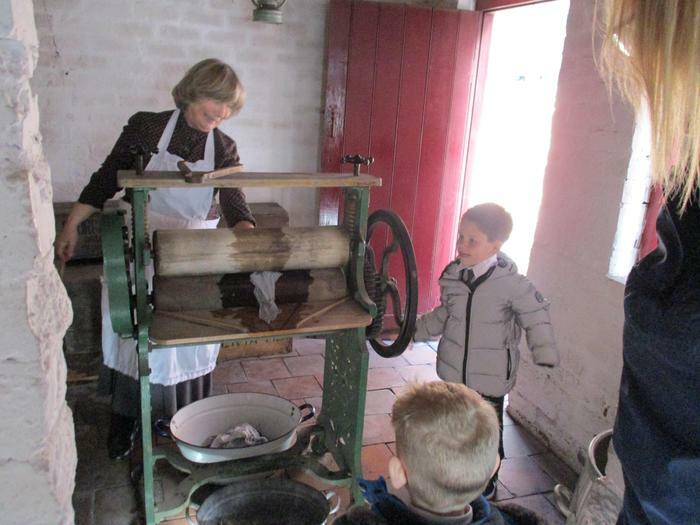 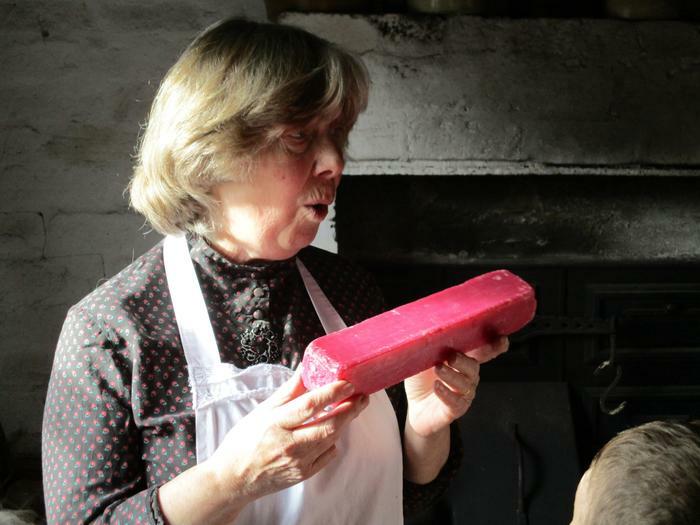 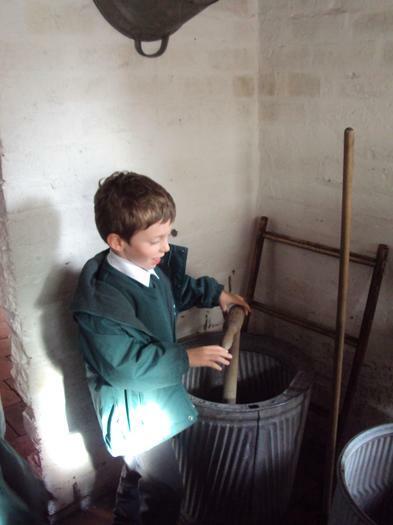 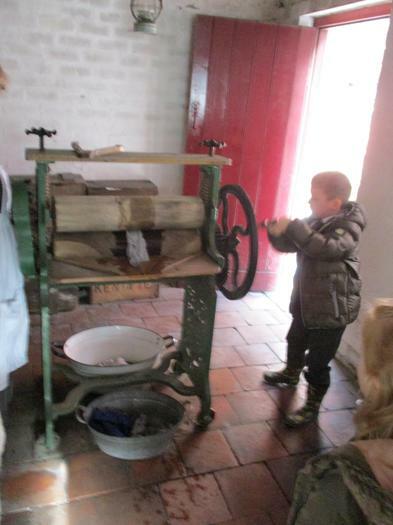 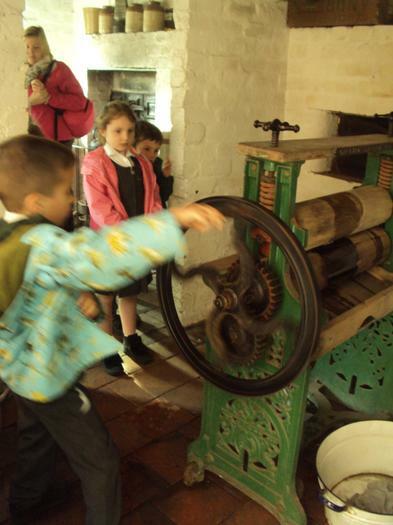 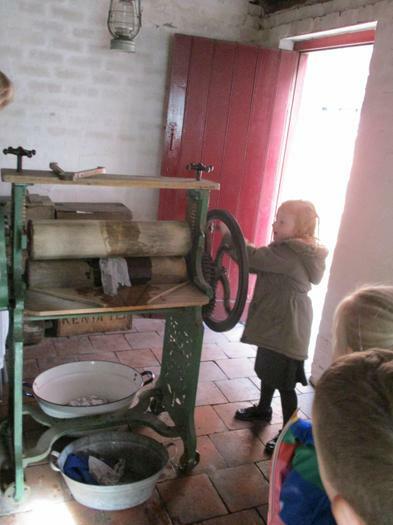 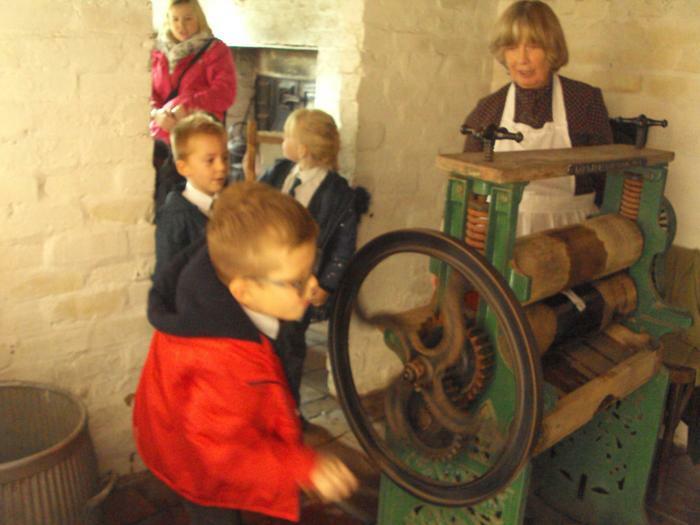 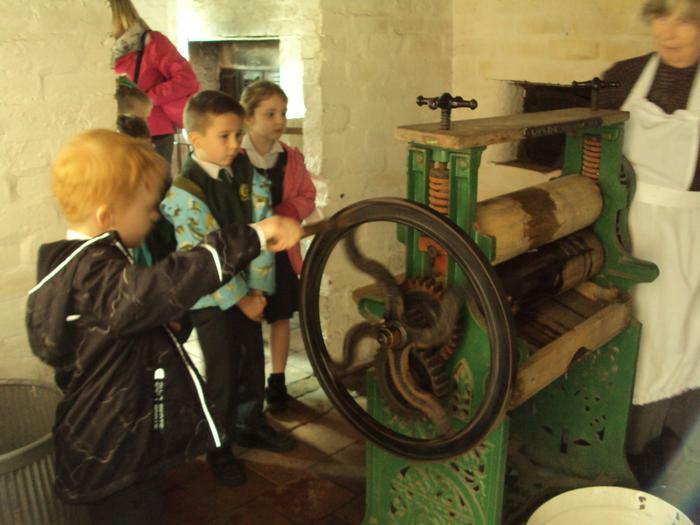 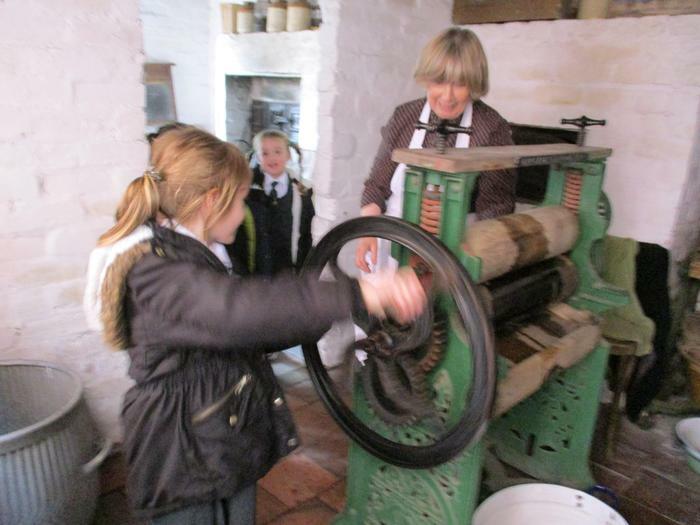 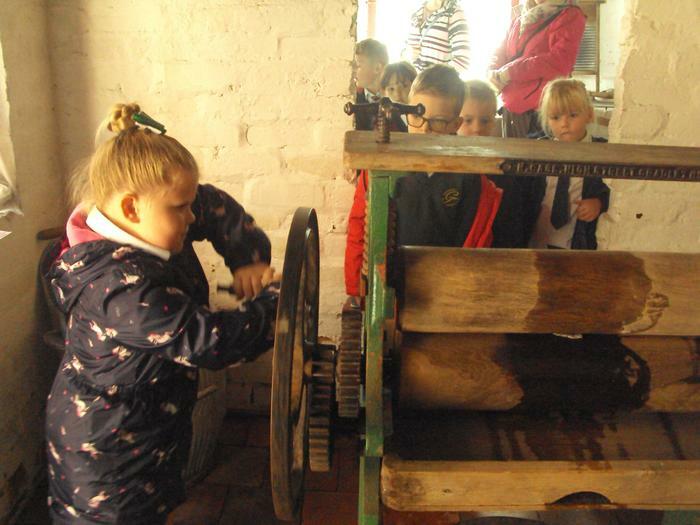 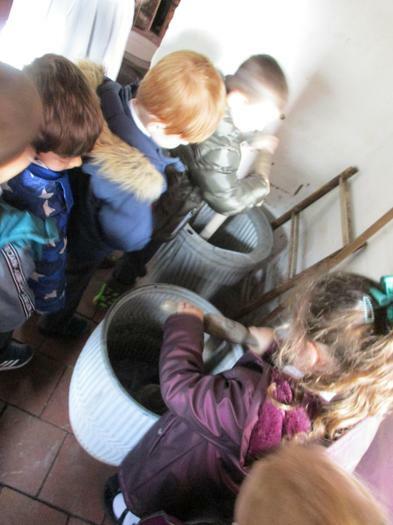 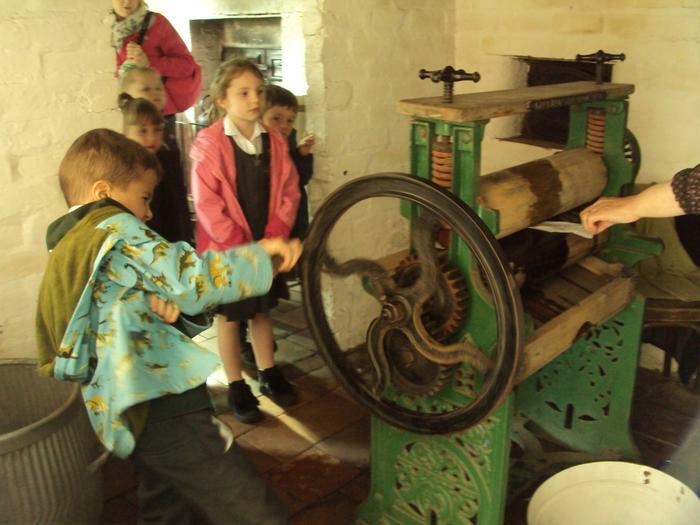 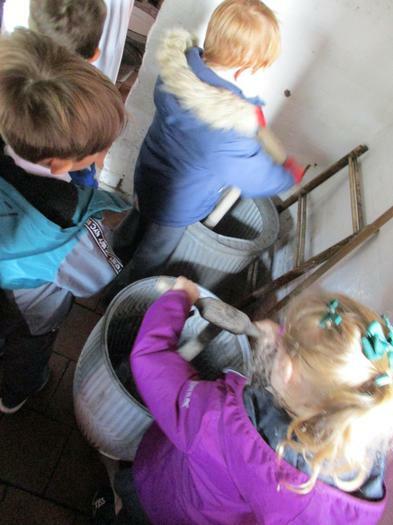 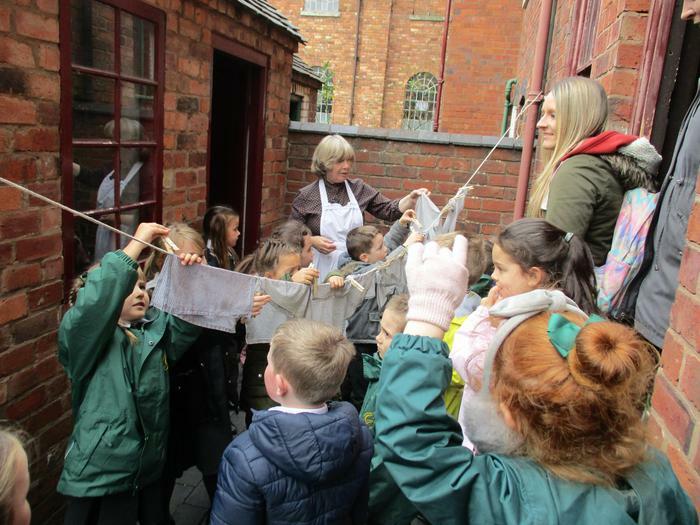 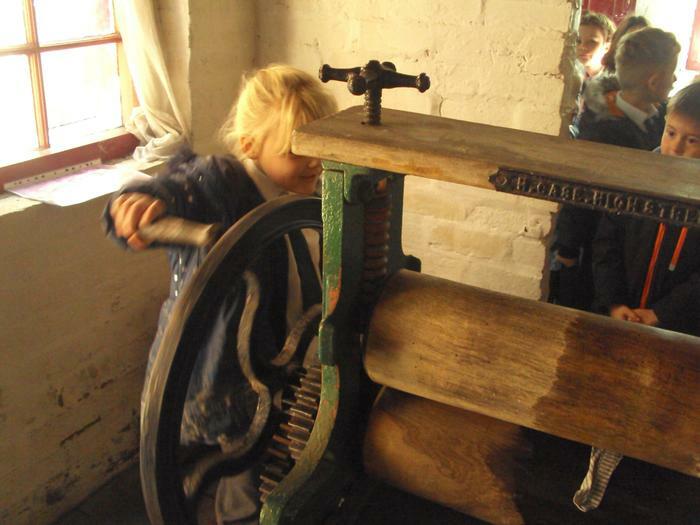 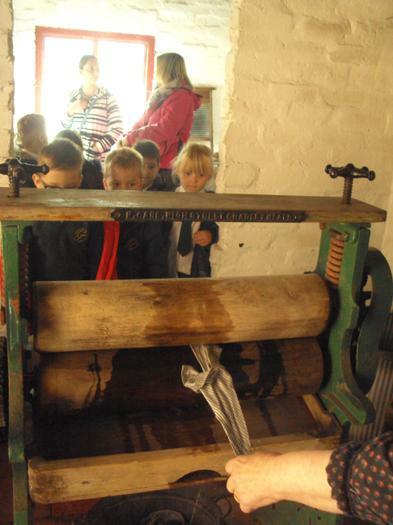 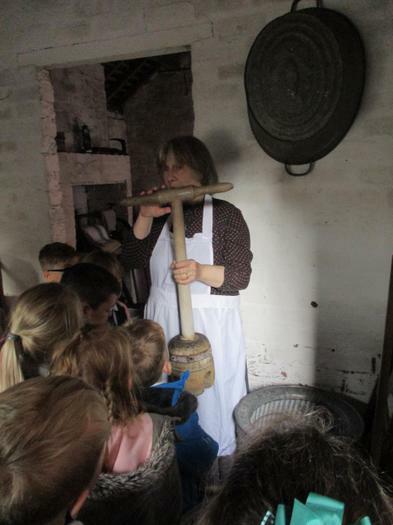 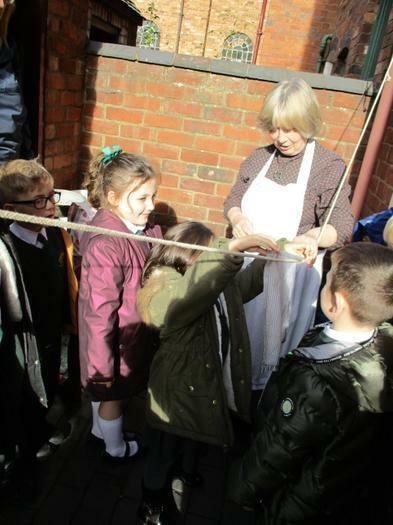 The children all took part in a workshop learning how clothes were washed in the past. 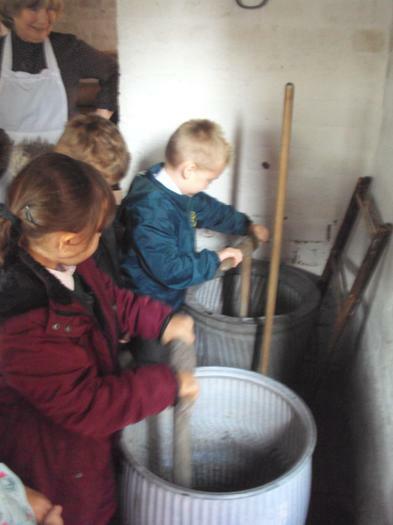 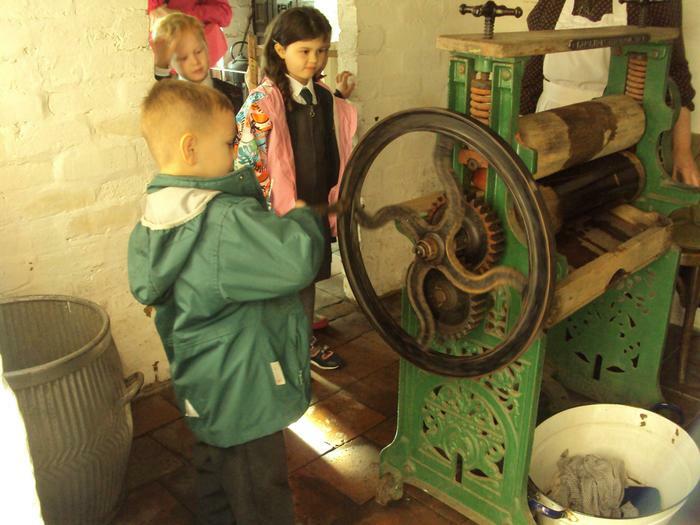 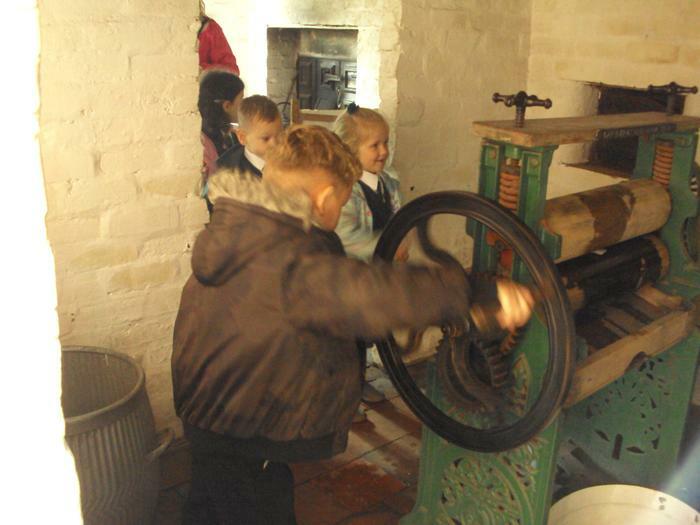 They all enjoyed using the dolly and mangle but were shocked to find out how much hard work washing used to be. 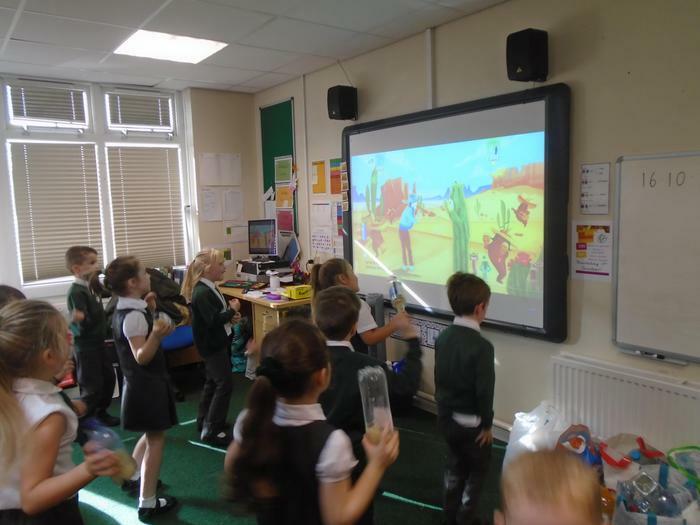 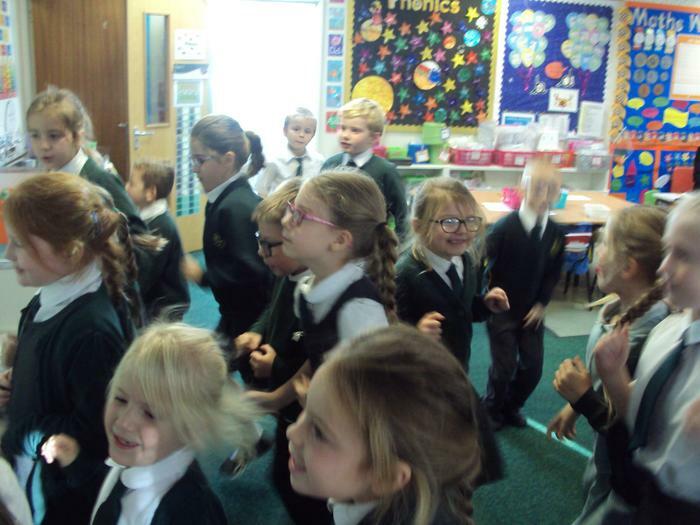 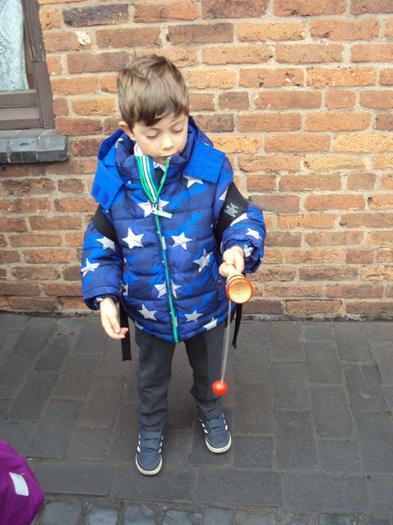 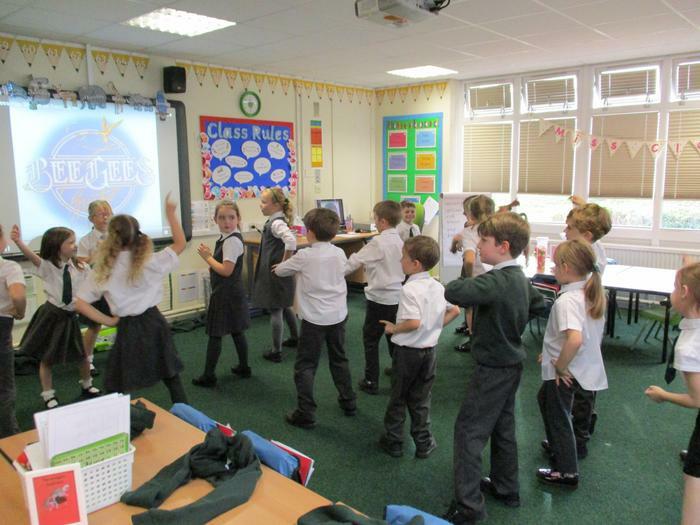 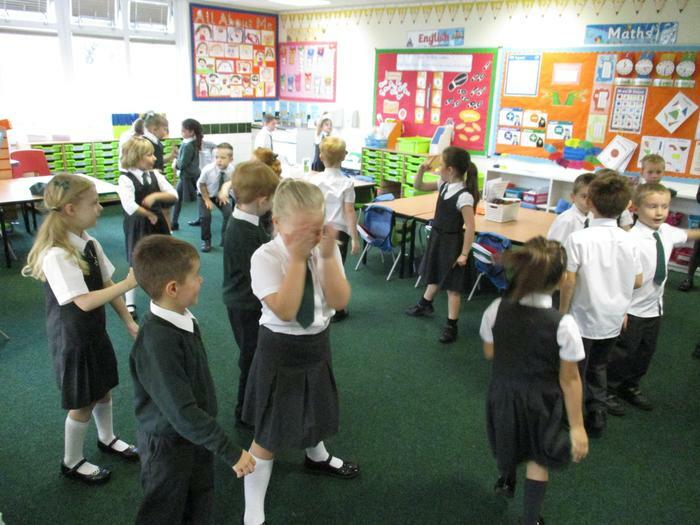 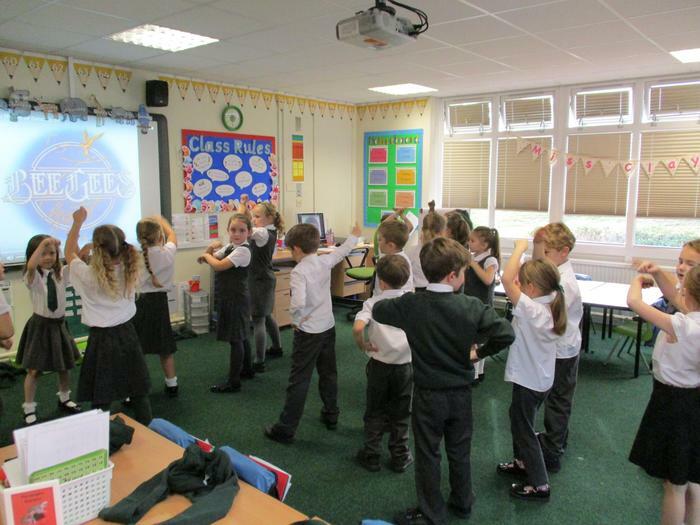 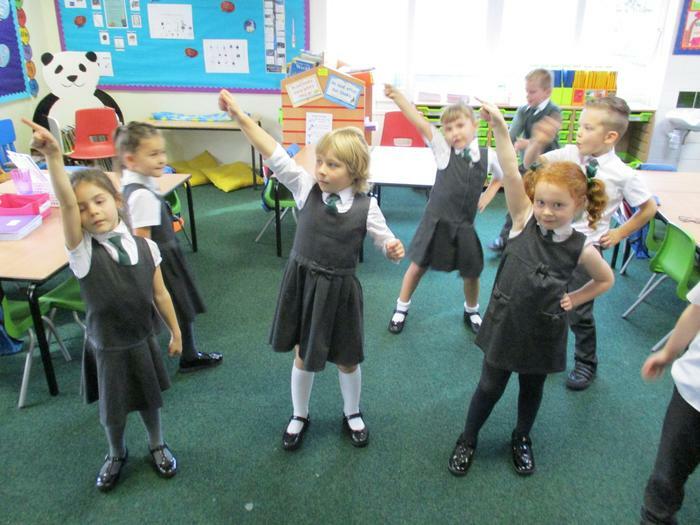 On Wednesday 17th October Year 1 and 2 spent the day learning about and focusing on their music skills. 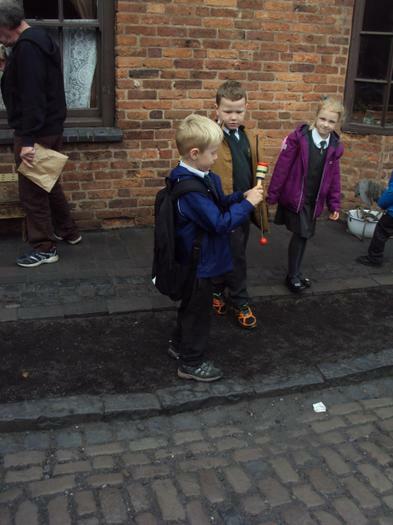 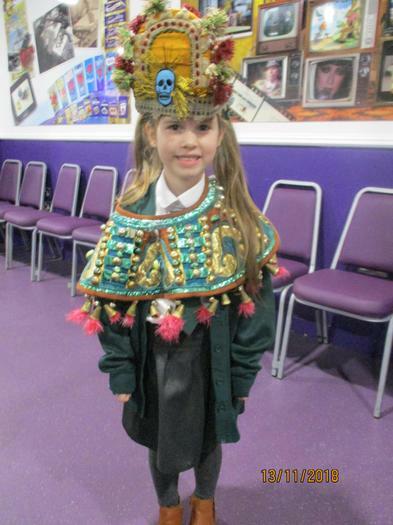 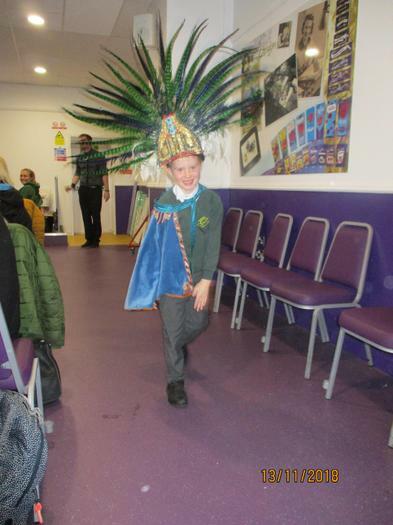 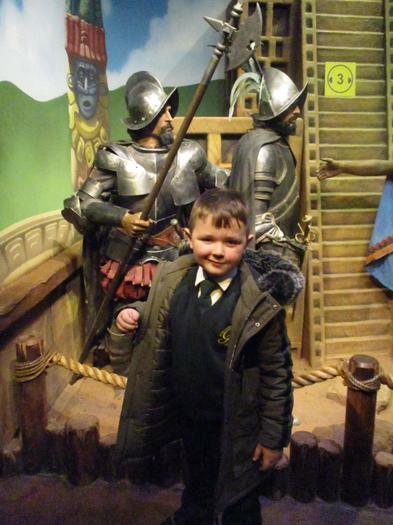 They took part in four activities focusing on different skills and using music from different time periods. 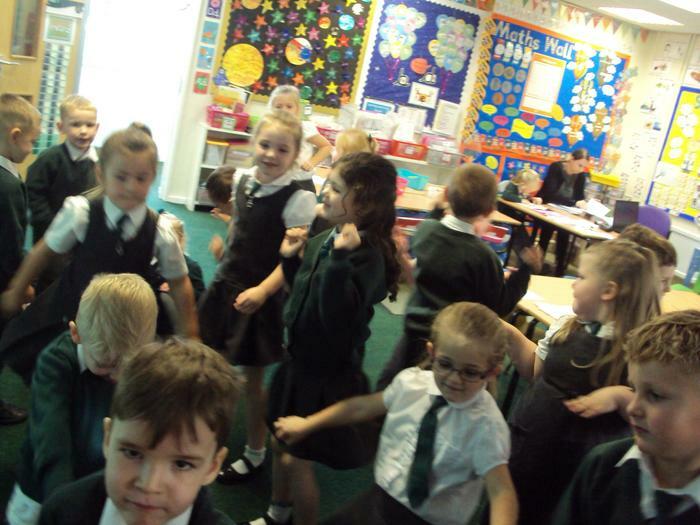 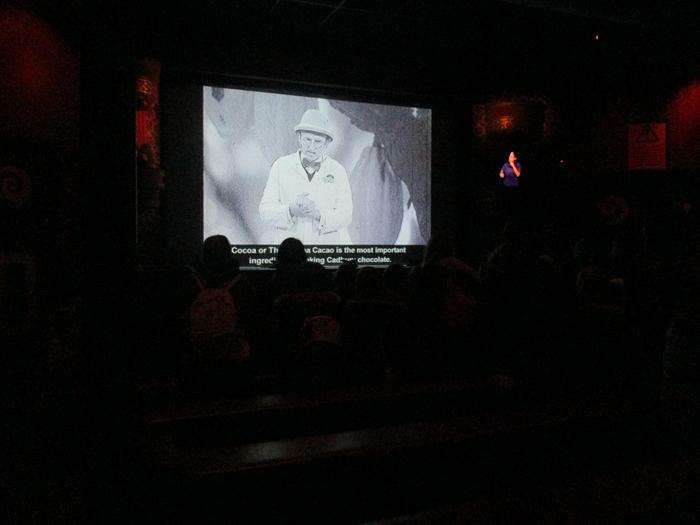 This included listening to and evaluating music from the 1940's and singing songs from the war, listening to music from the 1970's and 1980's as well as creating and performing dance and movements. 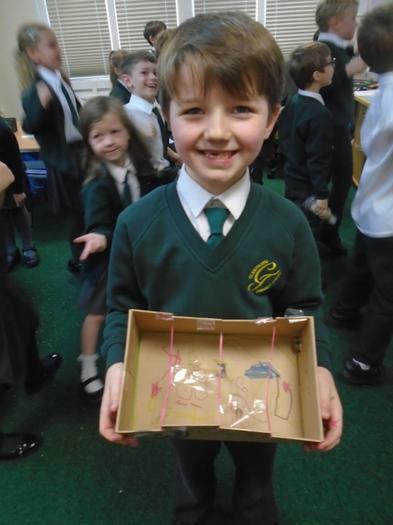 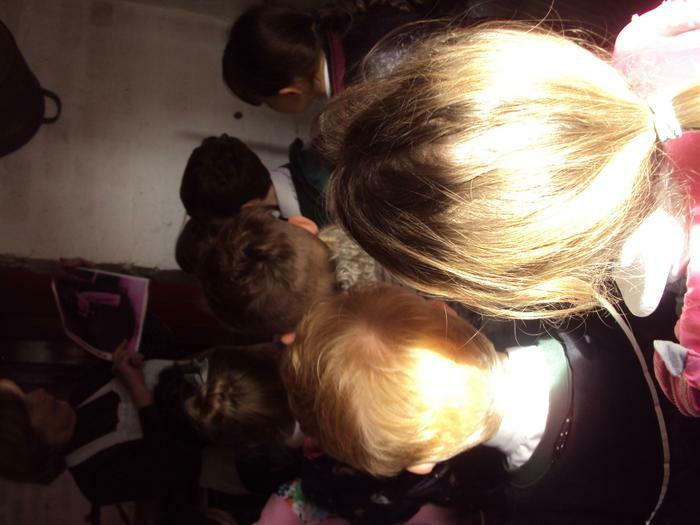 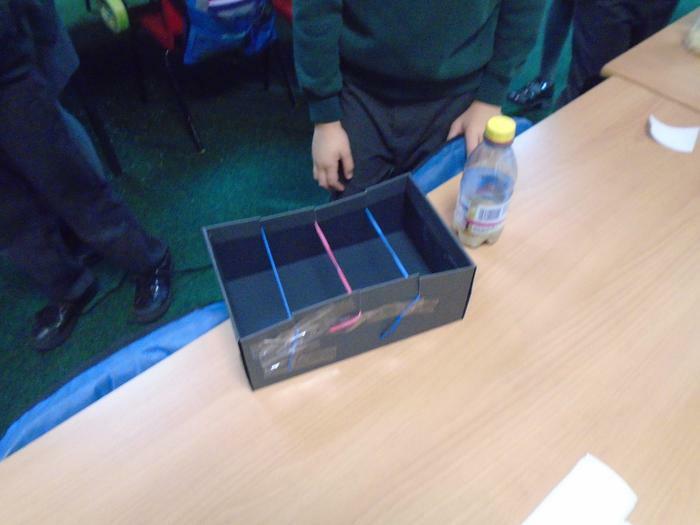 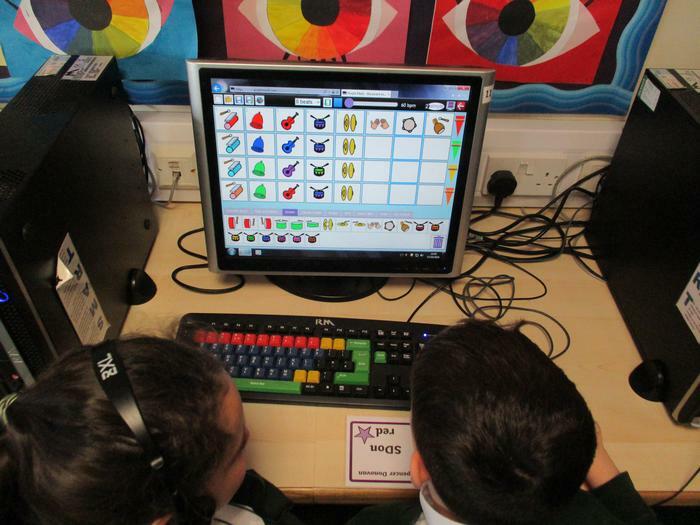 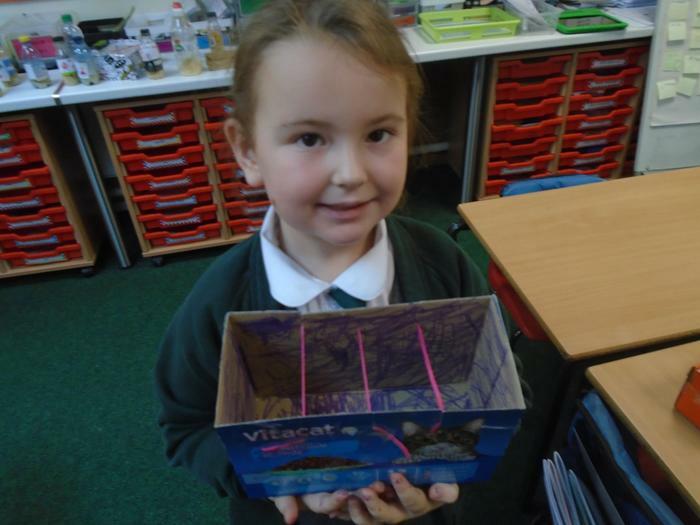 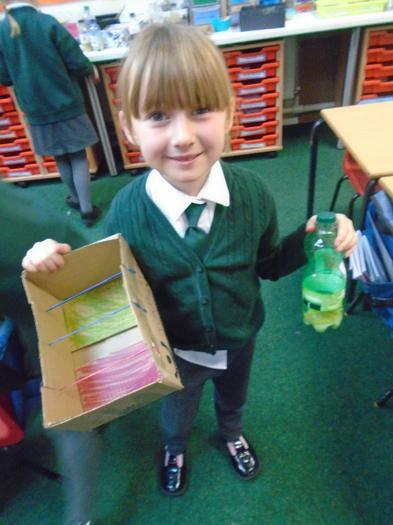 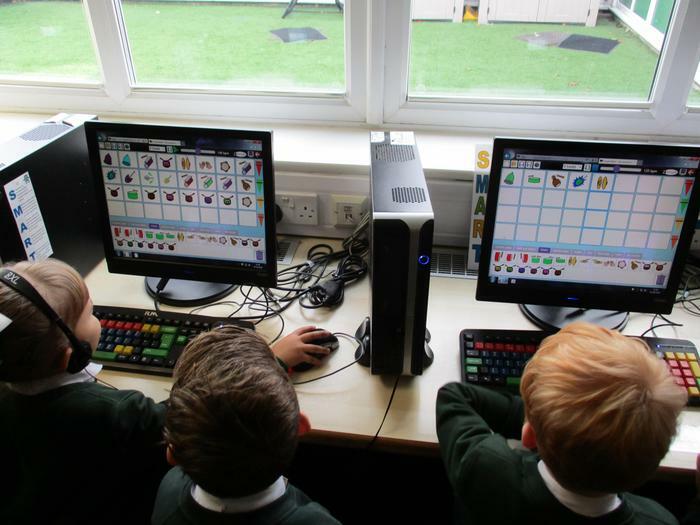 The children also listened to modern music and made music using Purple Mash as well as creating unturned instruments using recyclable materials. 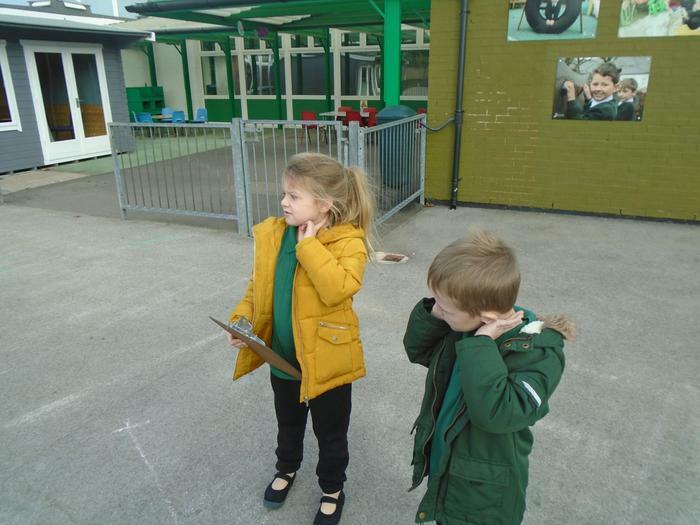 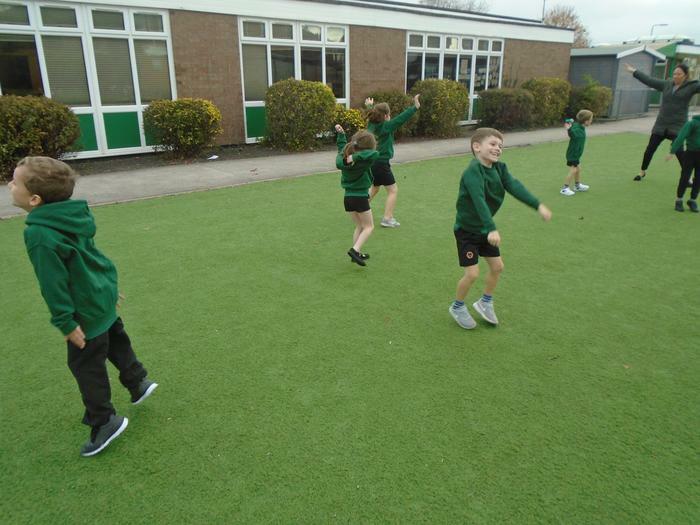 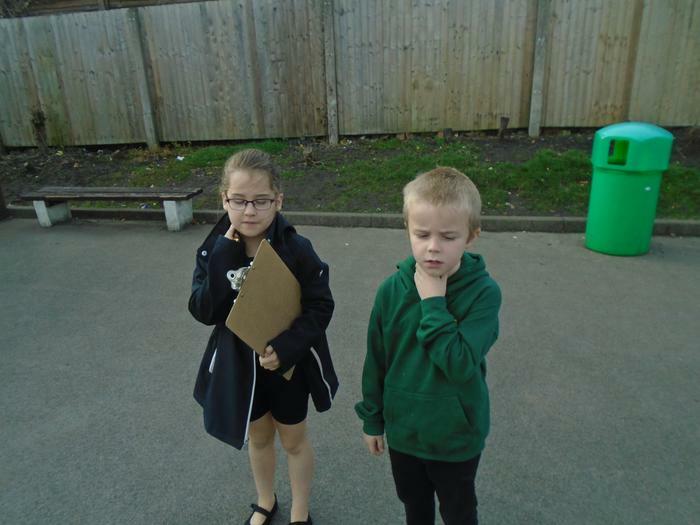 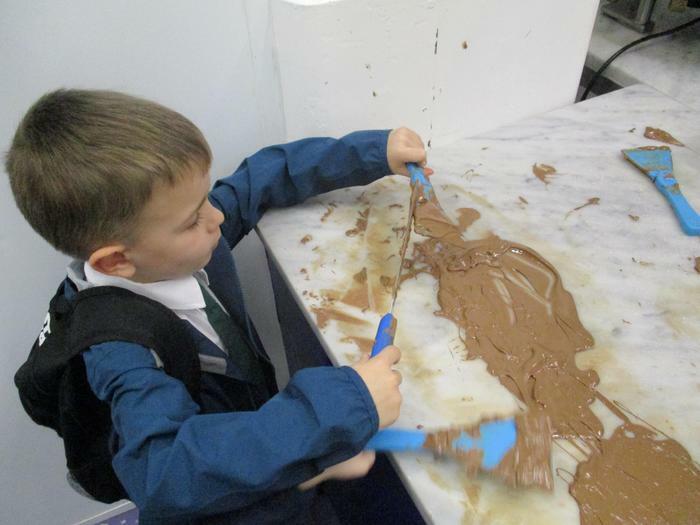 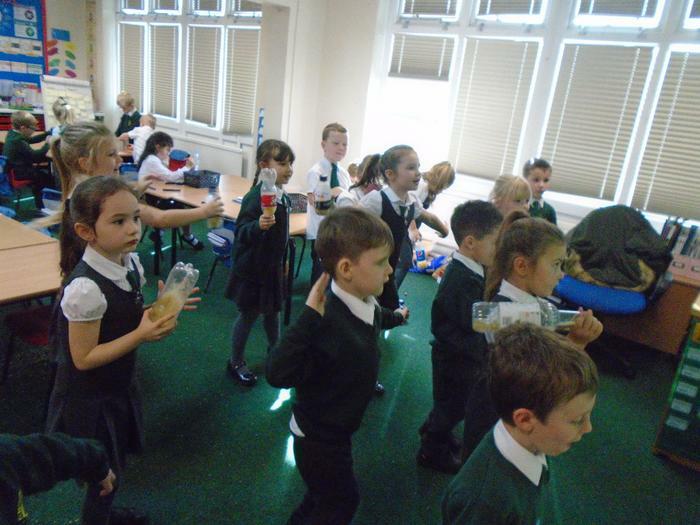 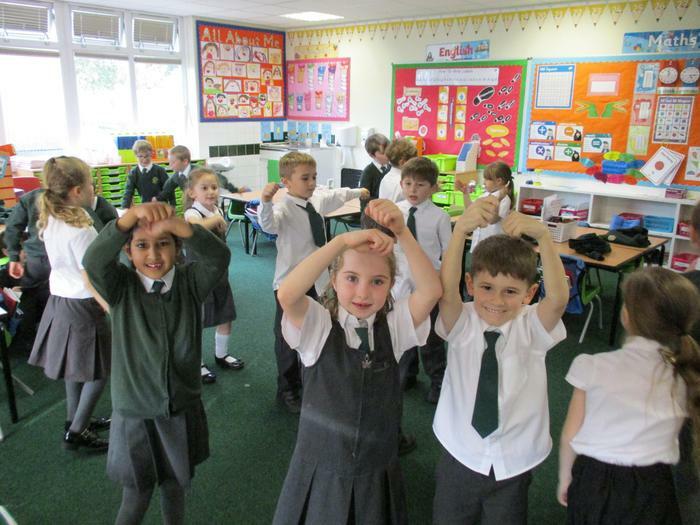 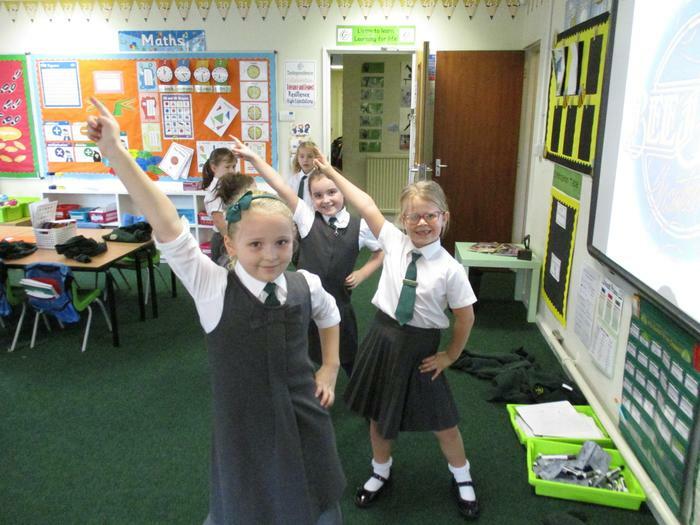 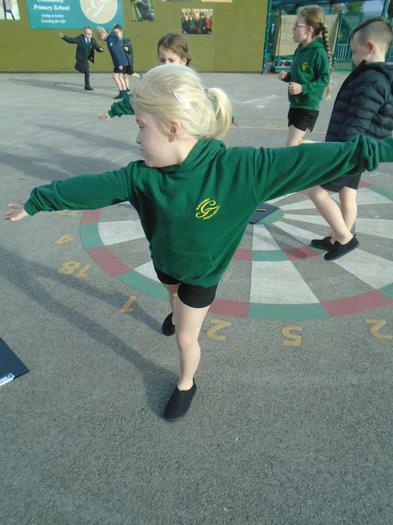 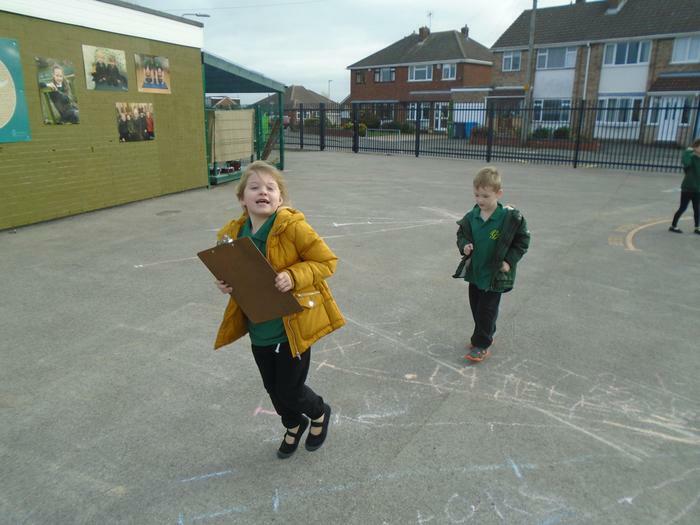 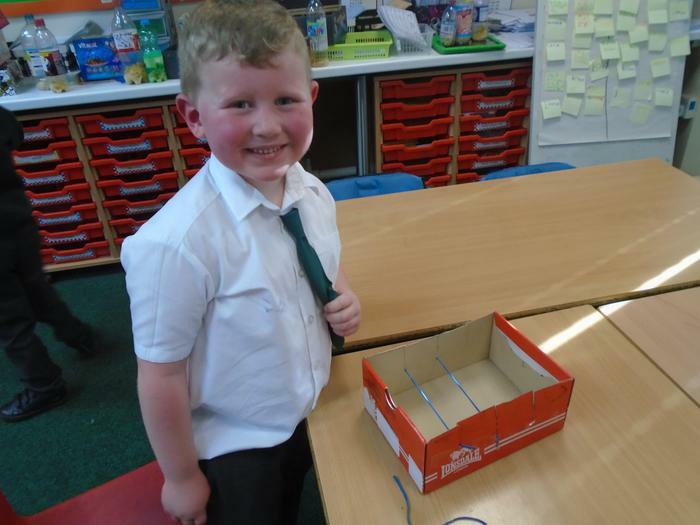 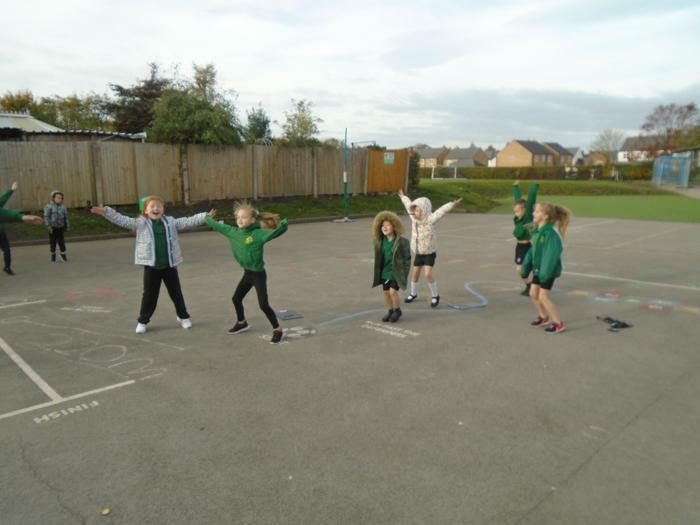 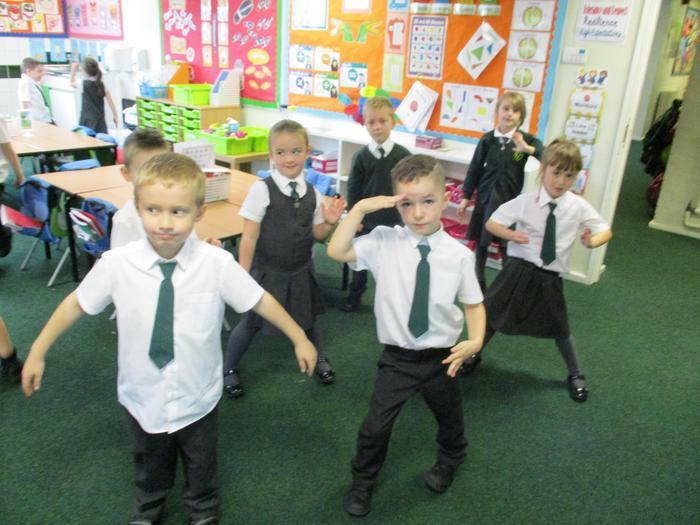 In science this half term Year 2 have been finding out about their bodies. 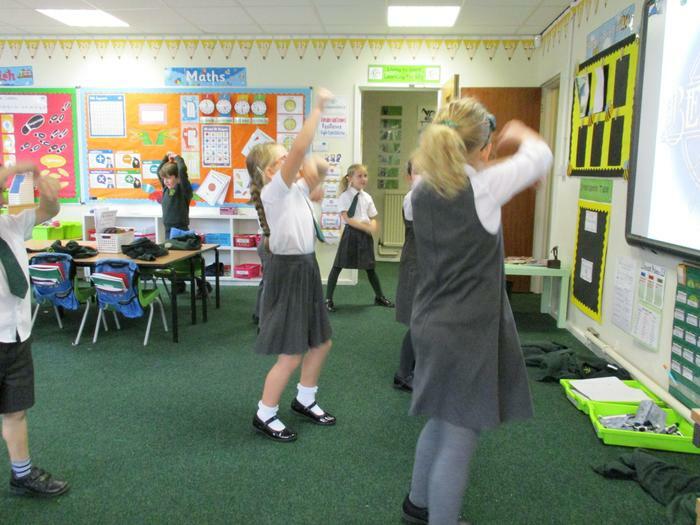 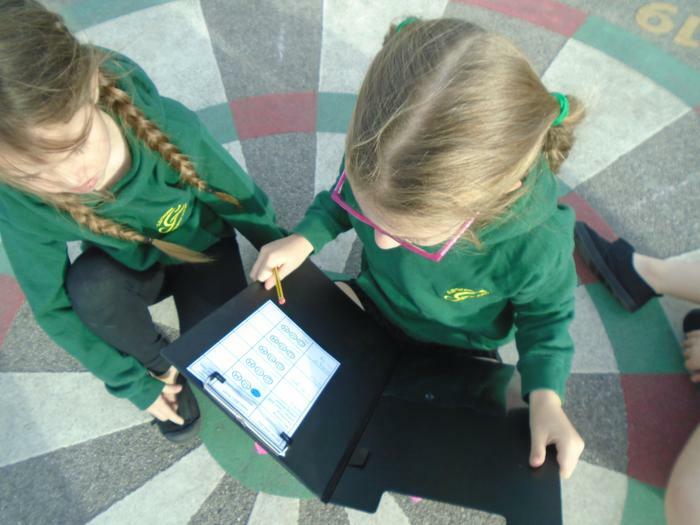 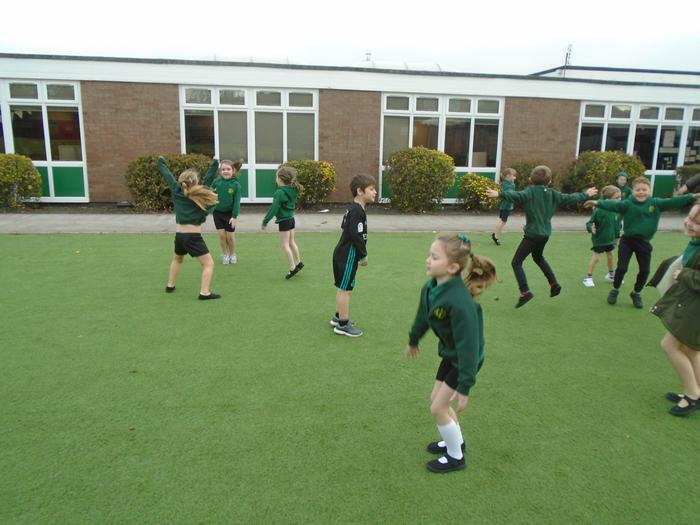 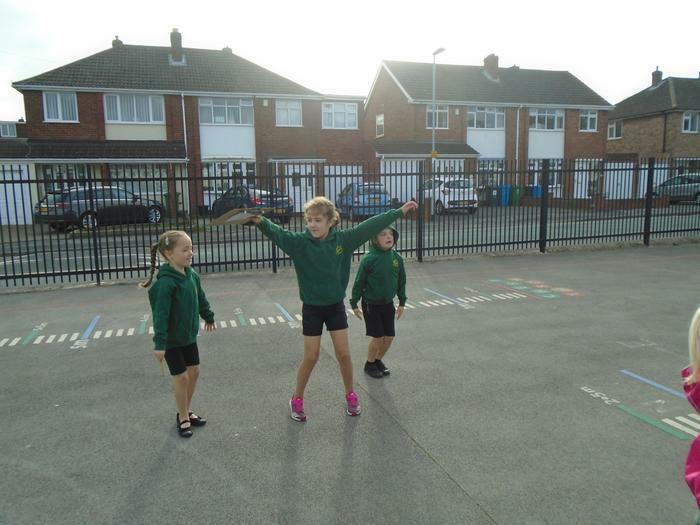 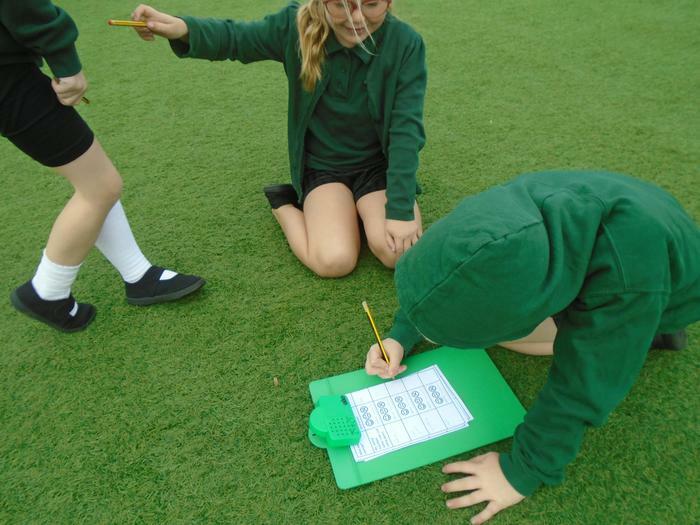 They enjoyed investigating the effects of exercise on their heart rate. 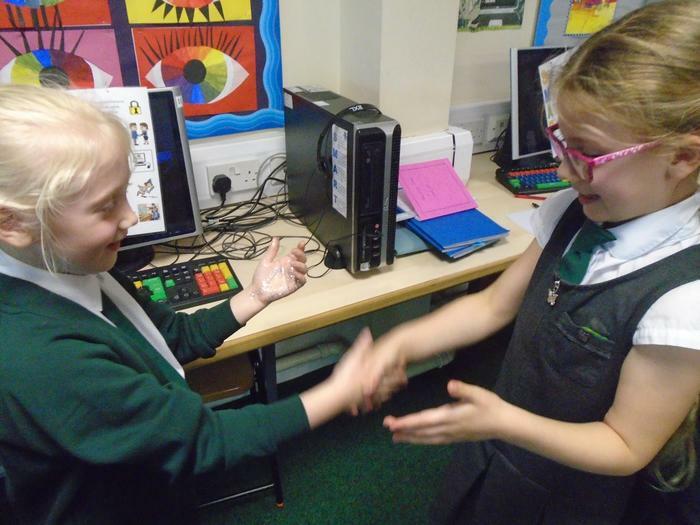 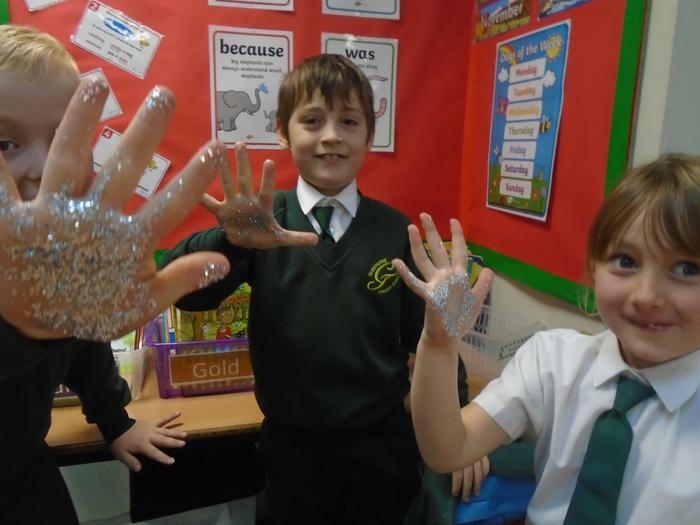 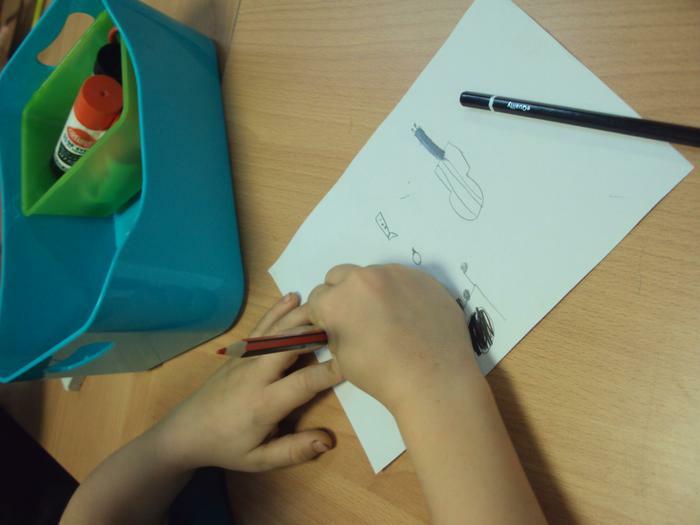 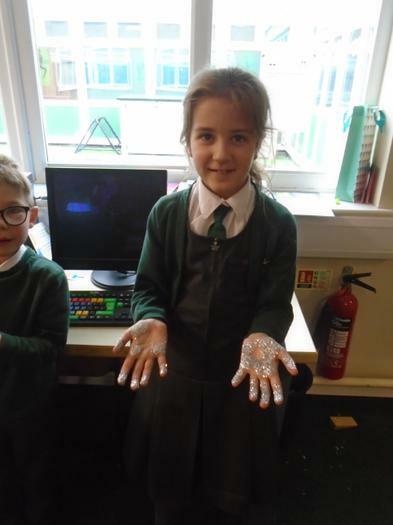 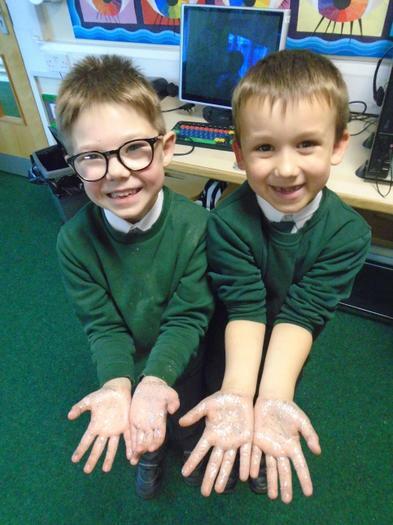 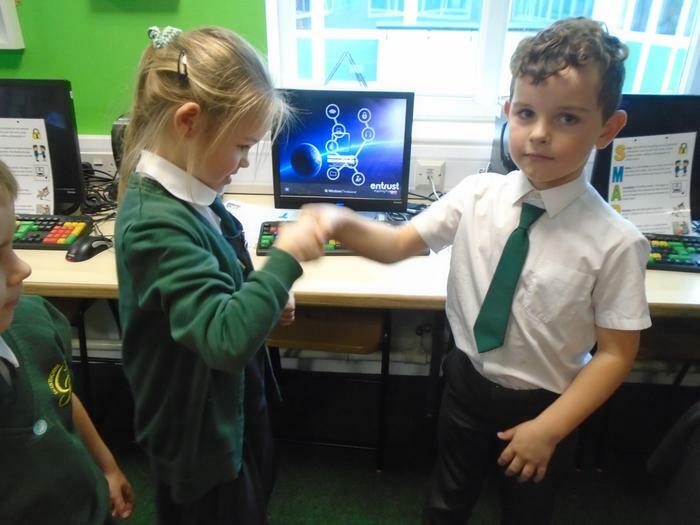 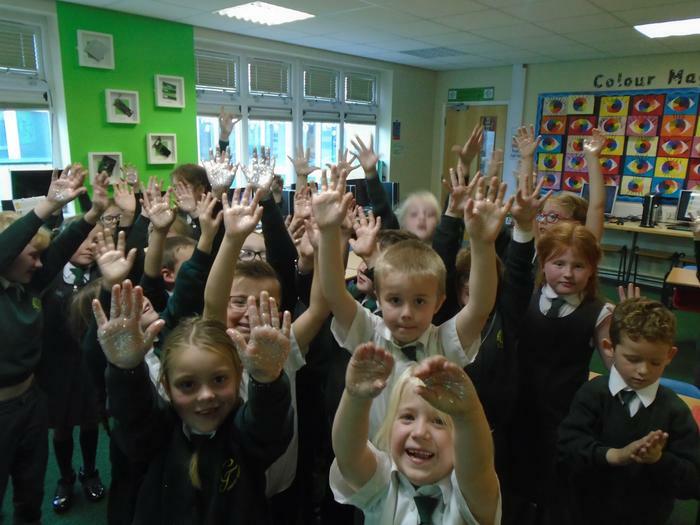 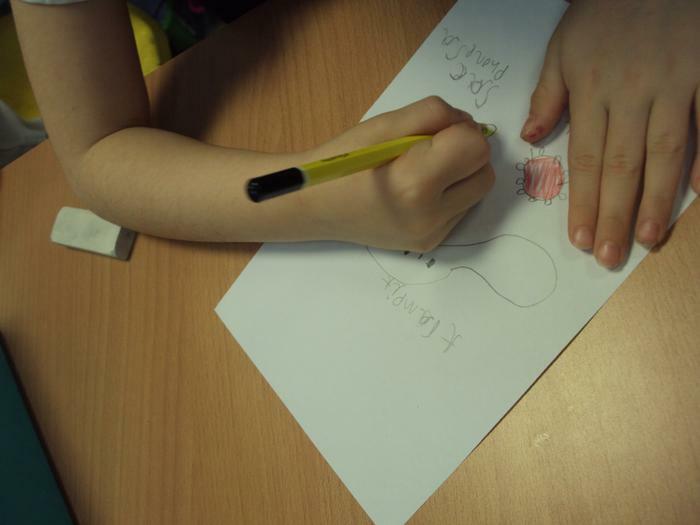 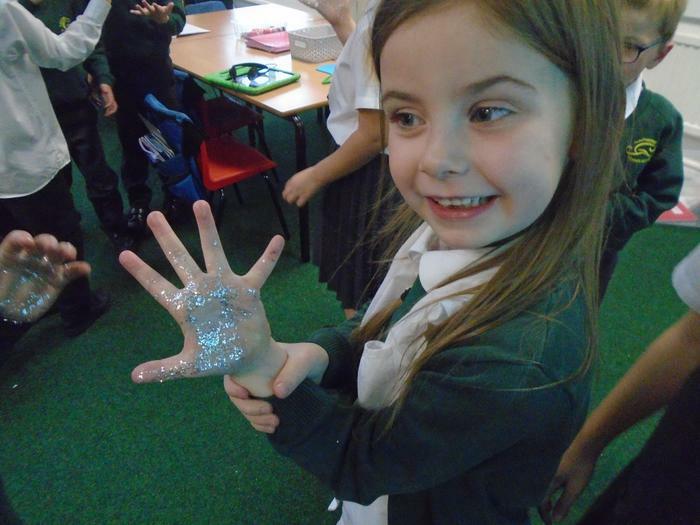 The children also explored how germs can spread if they do not wash their hands regularly and learnt why hygiene is important.